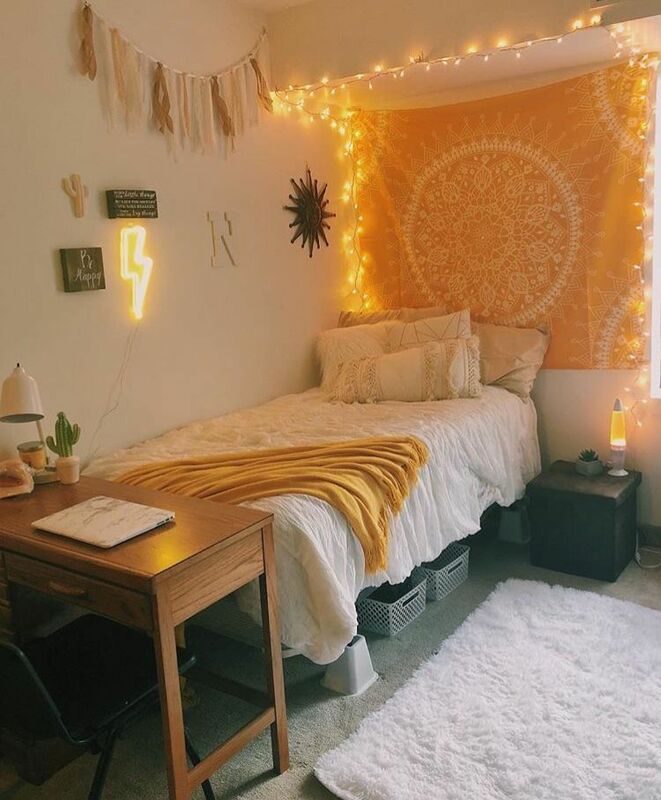 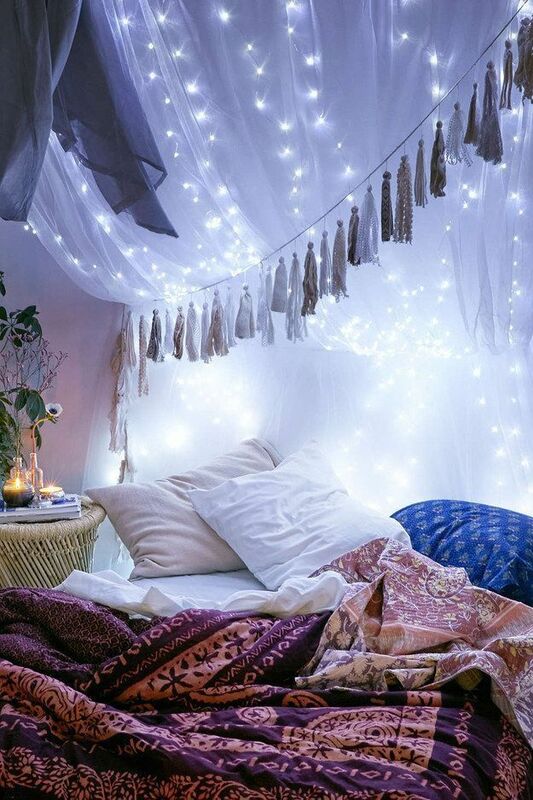 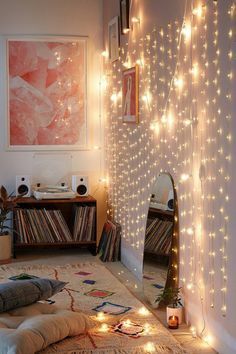 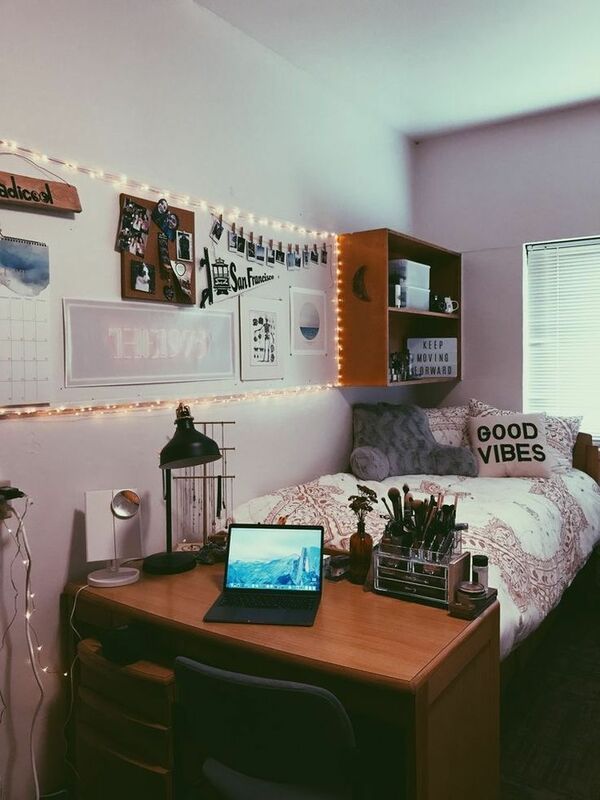 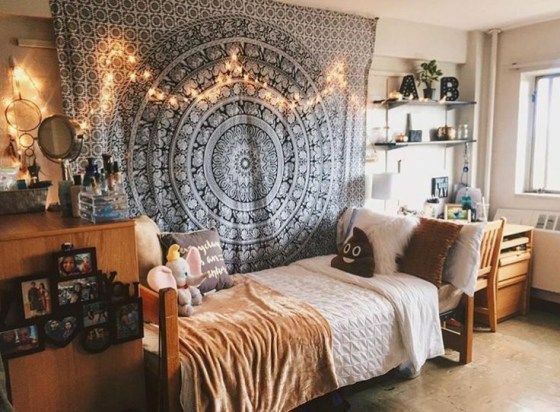 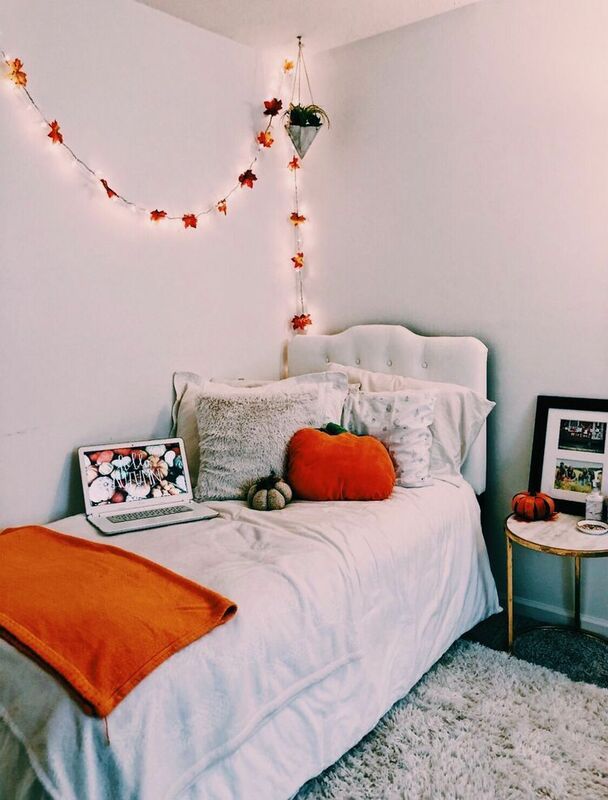 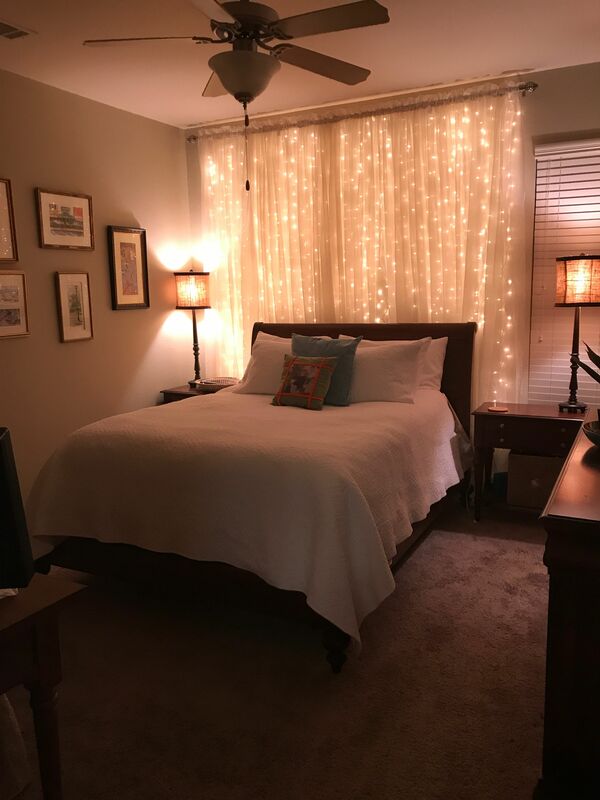 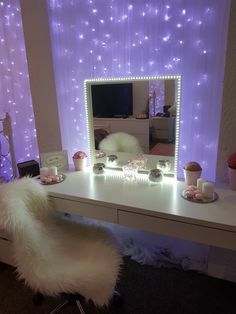 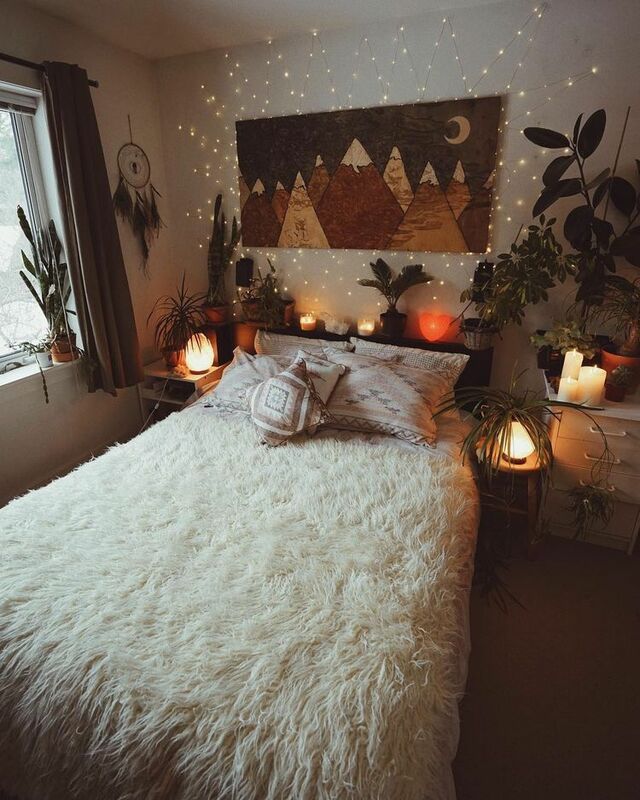 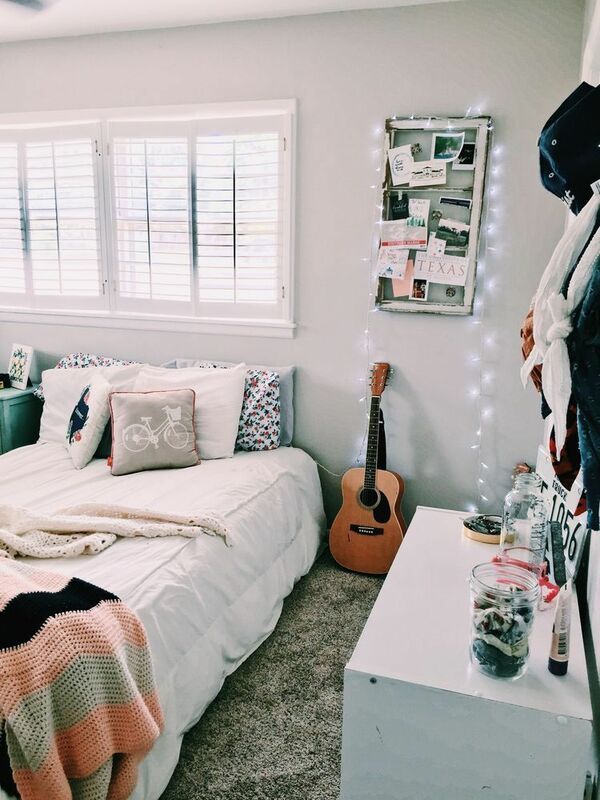 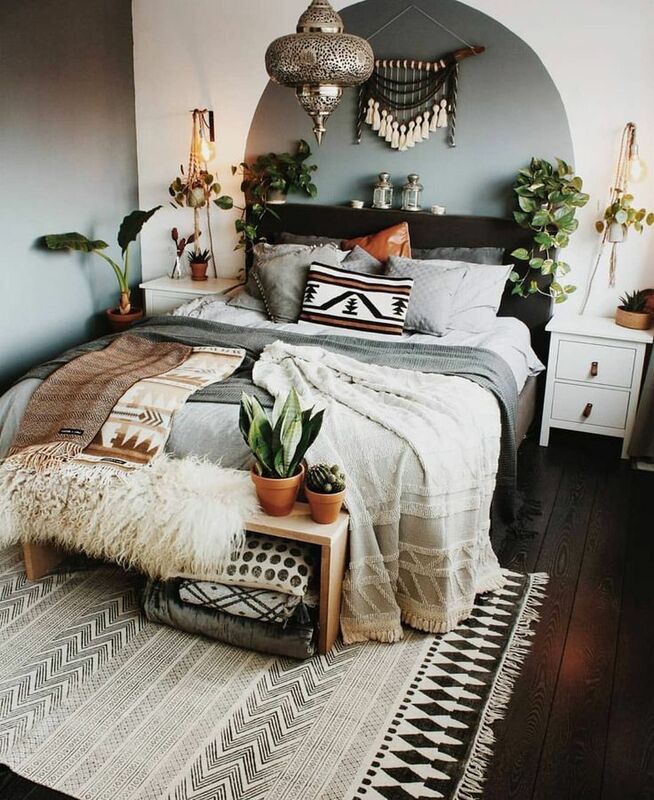 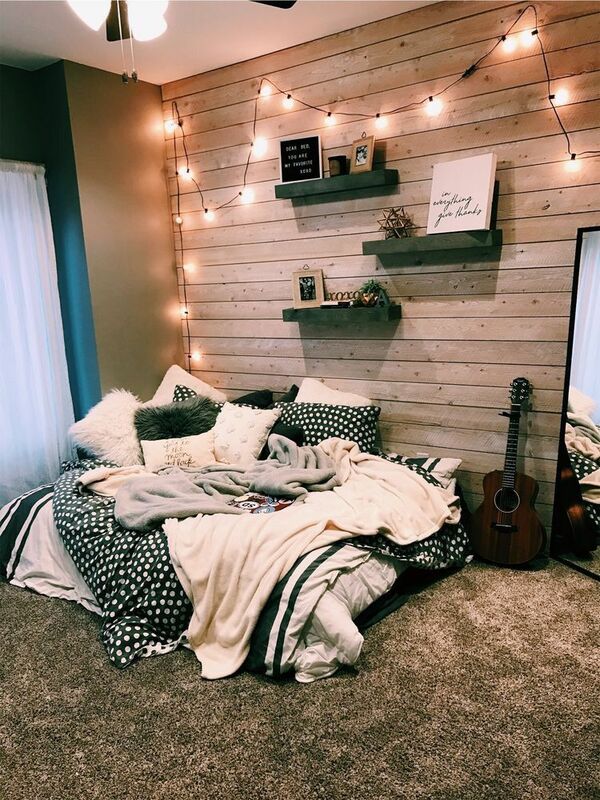 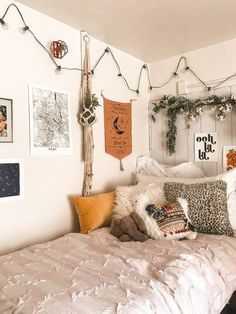 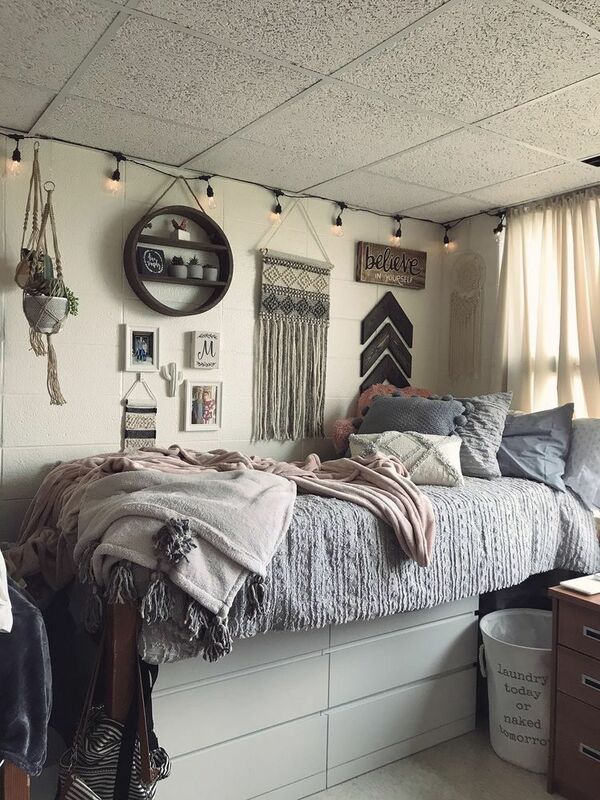 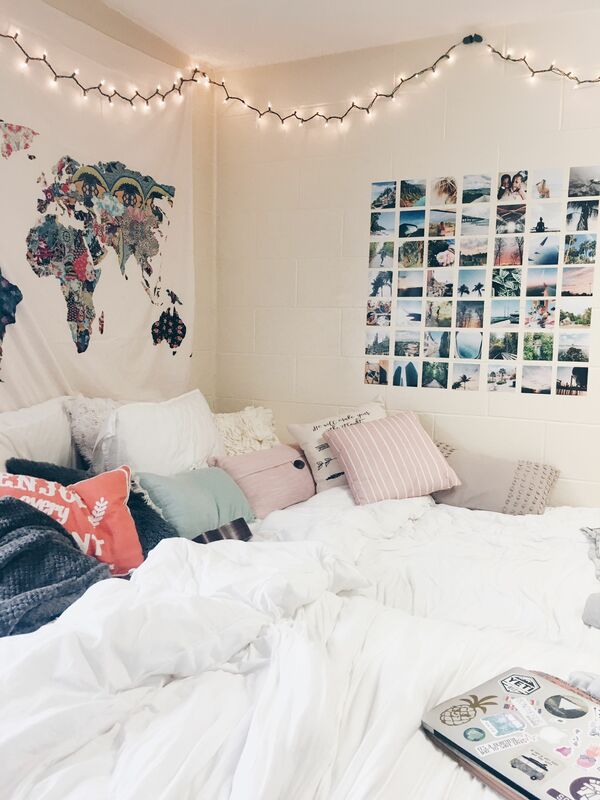 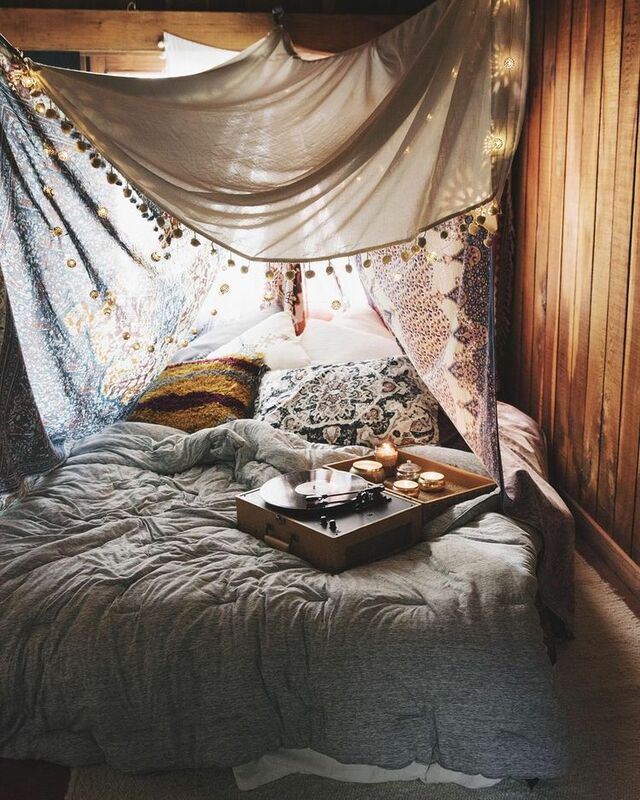 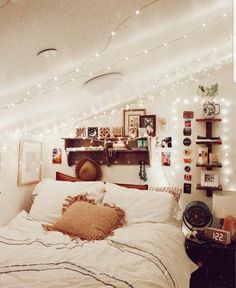 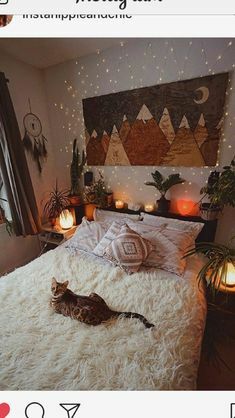 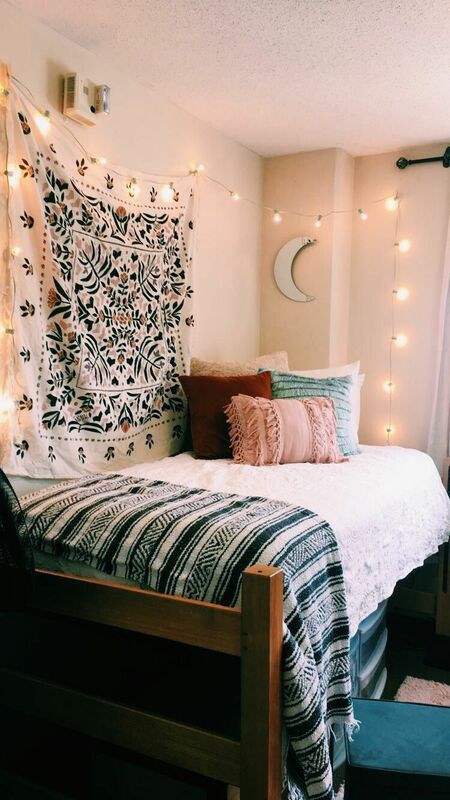 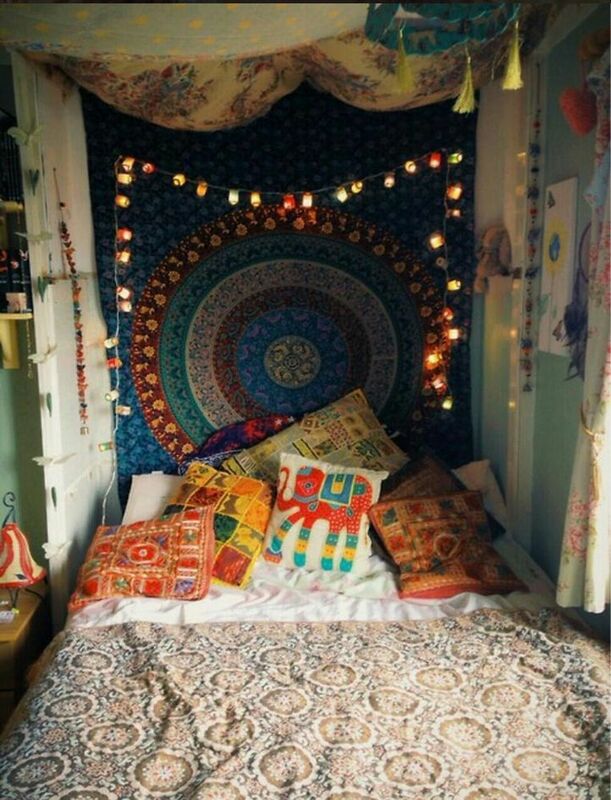 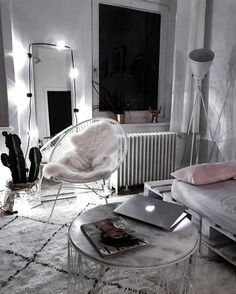 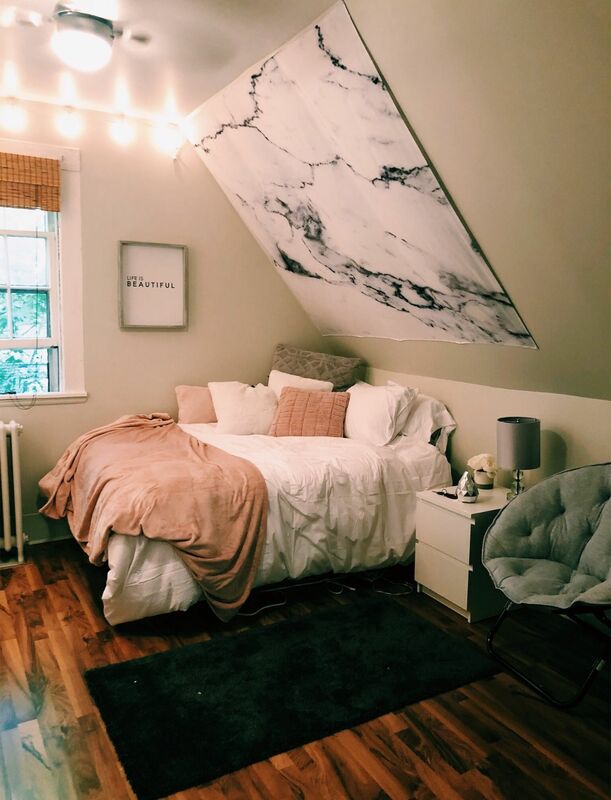 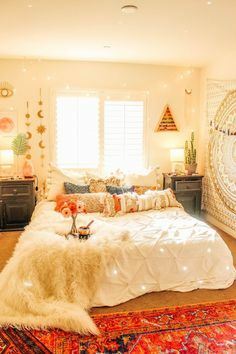 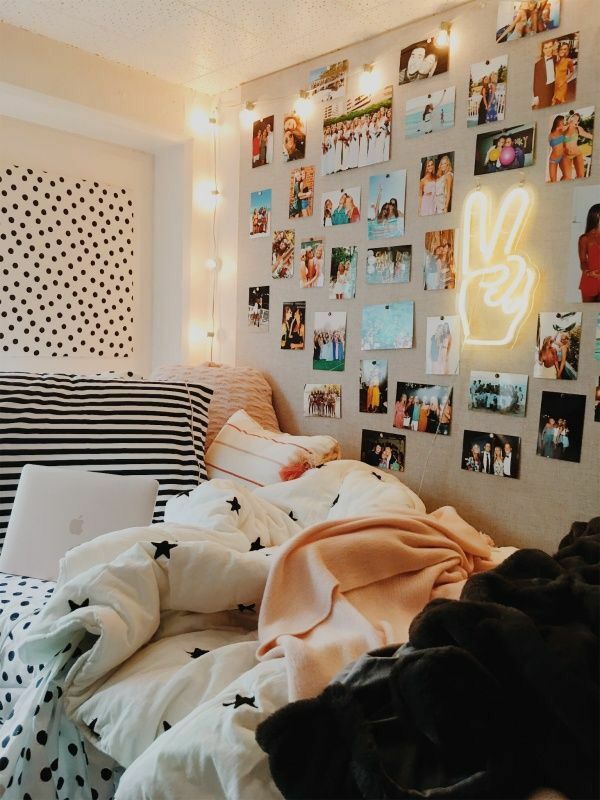 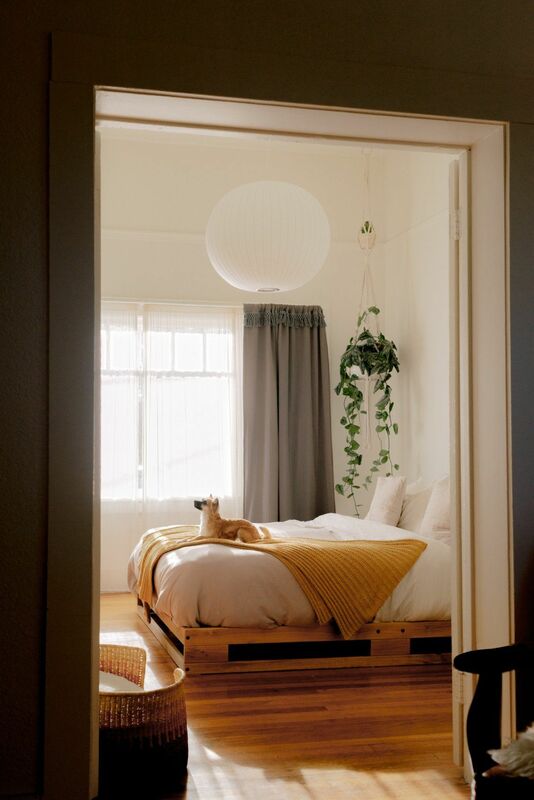 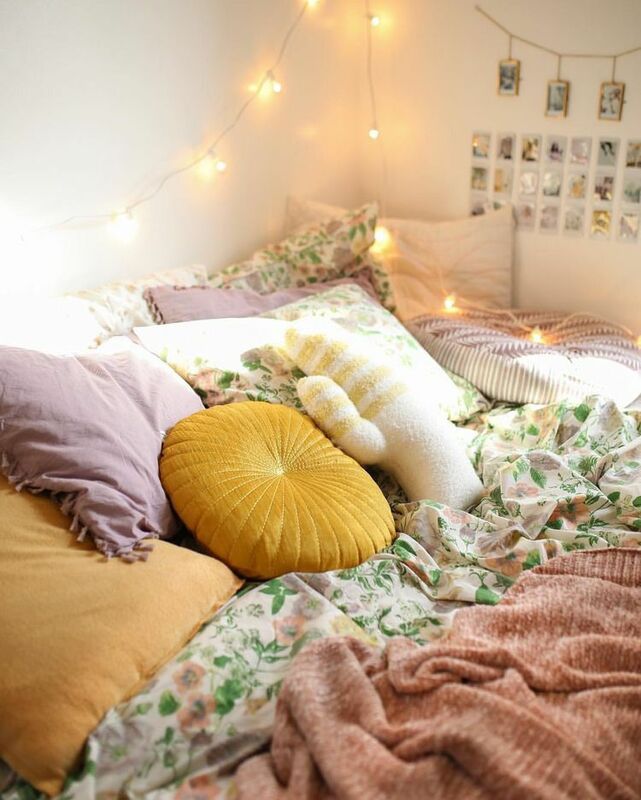 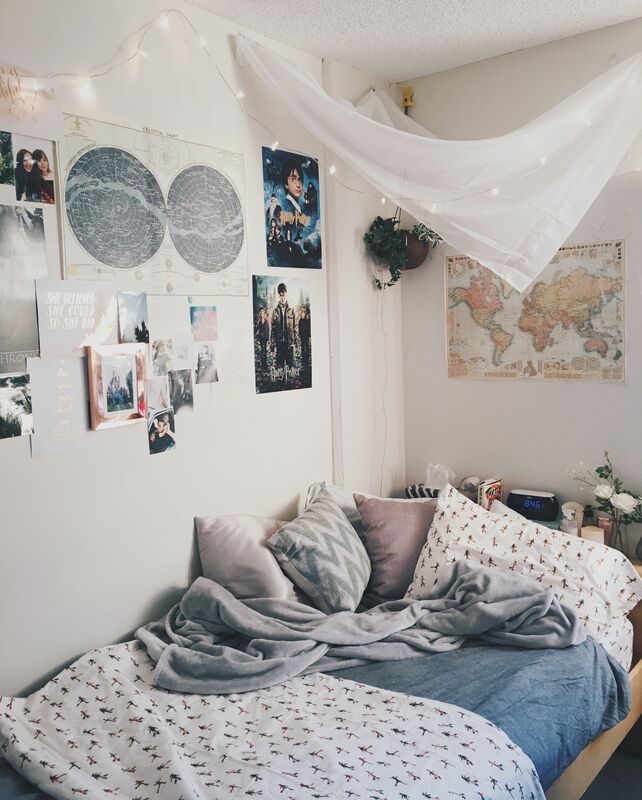 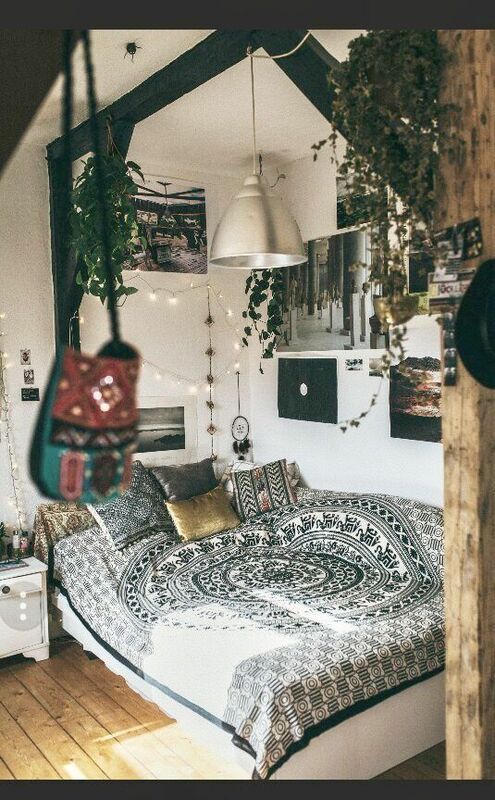 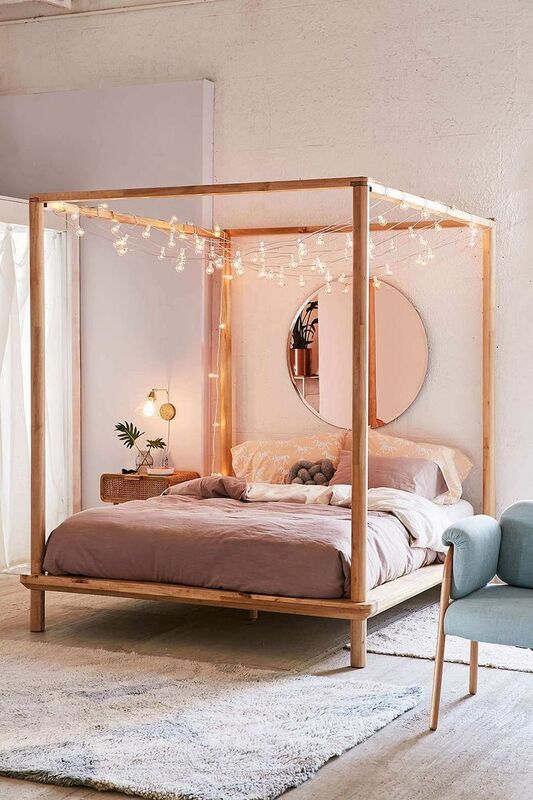 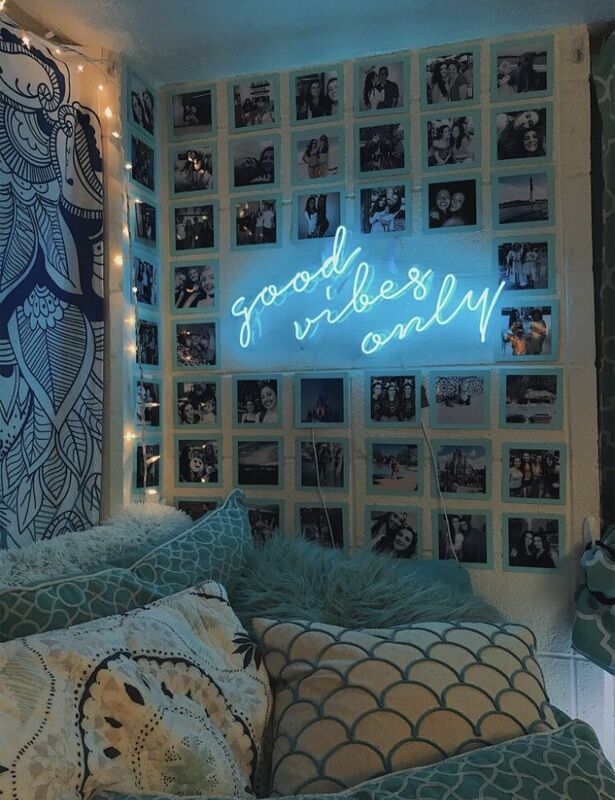 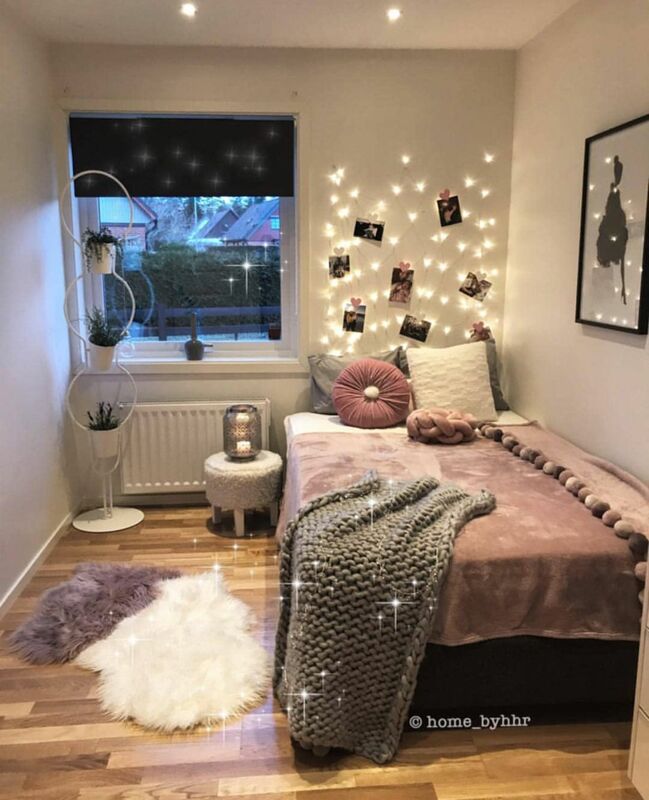 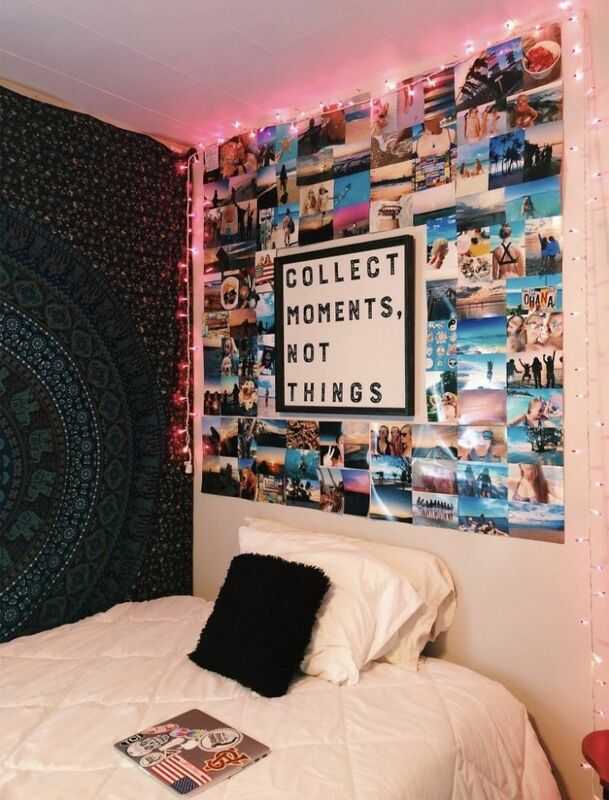 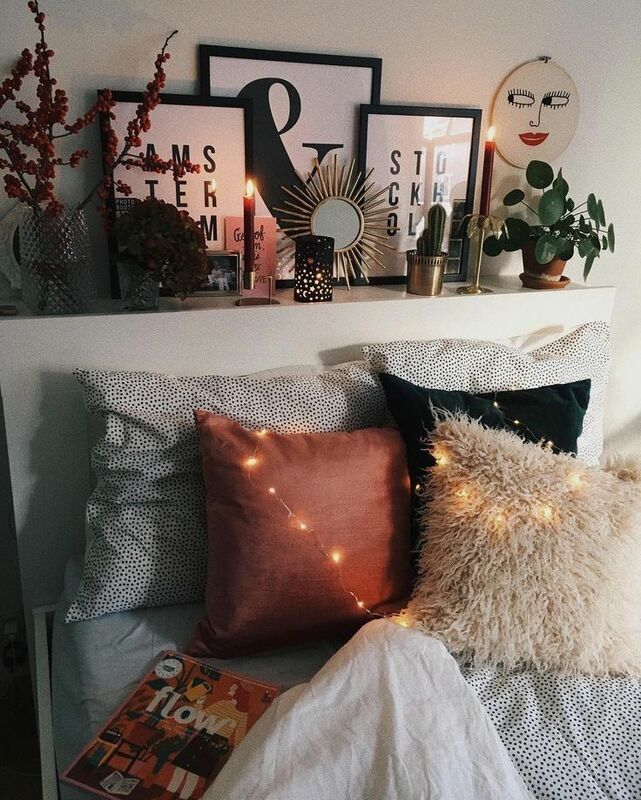 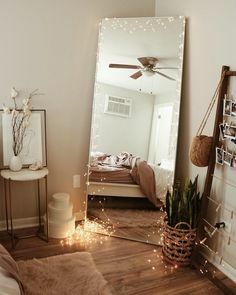 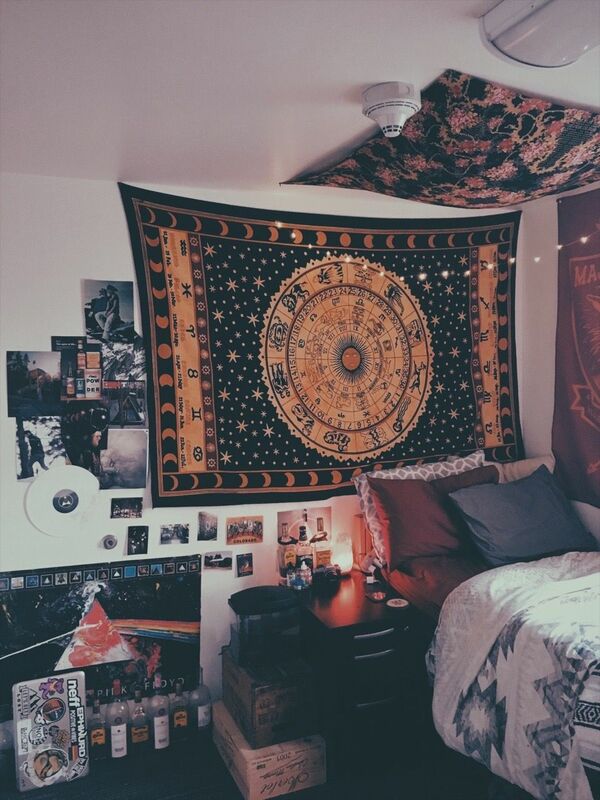 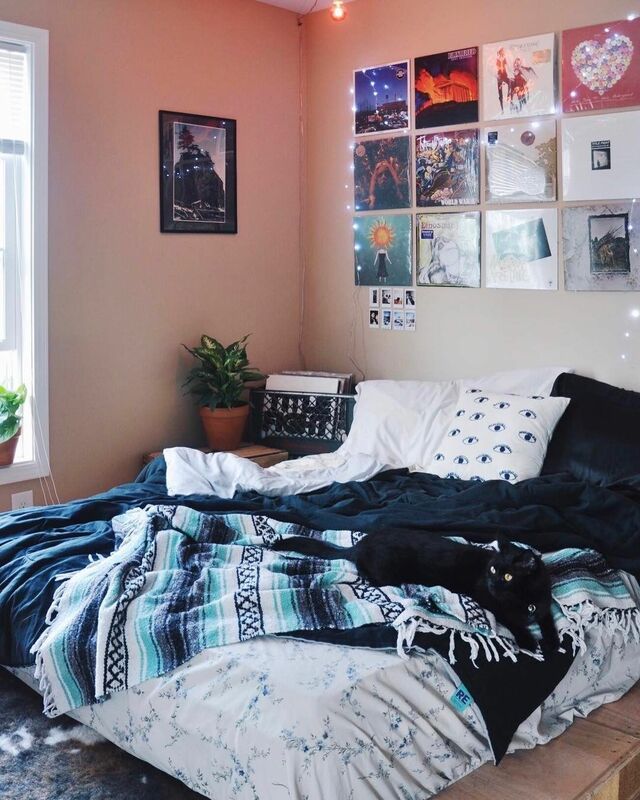 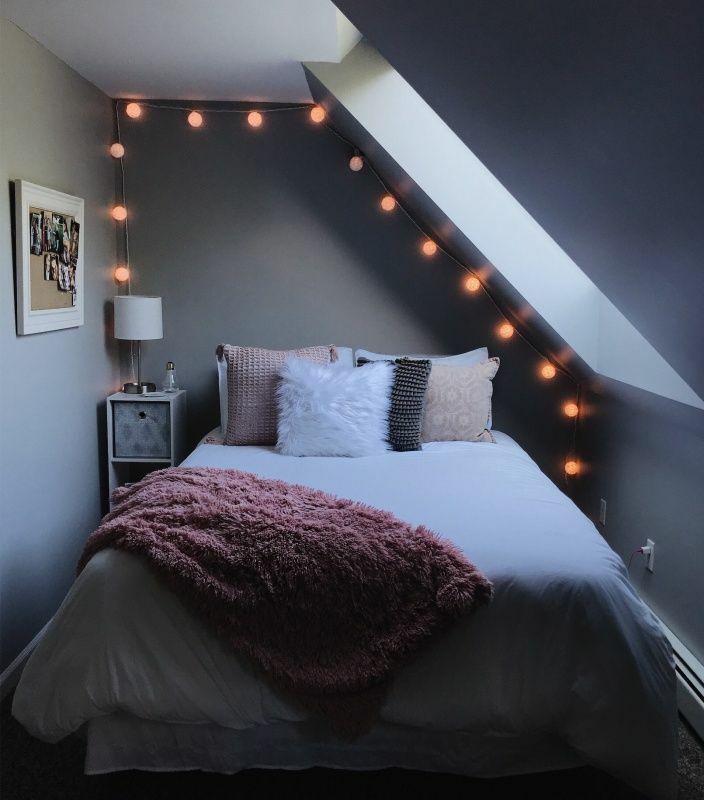 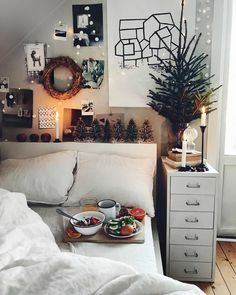 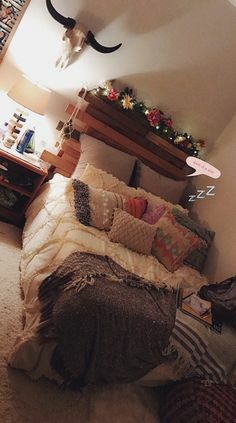 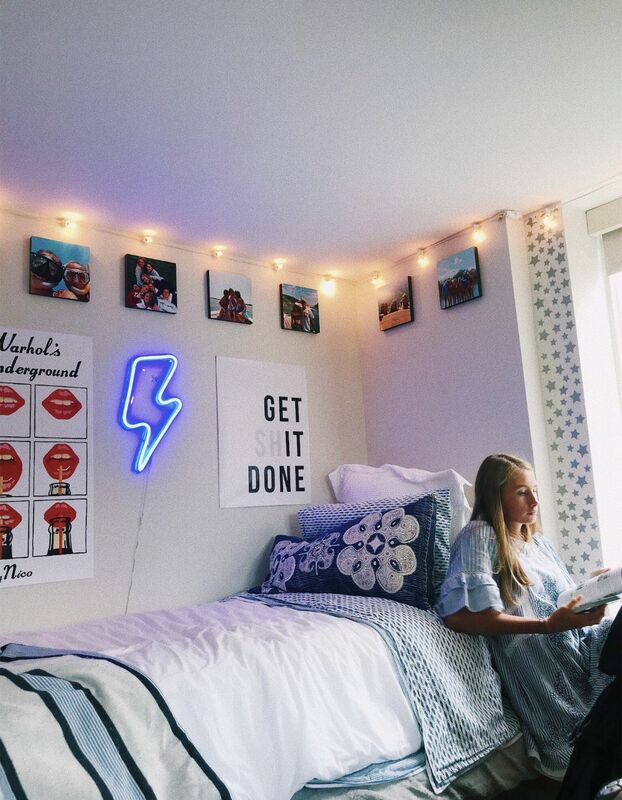 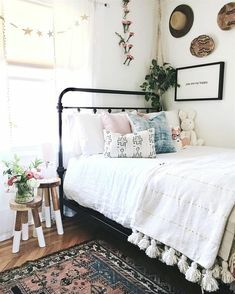 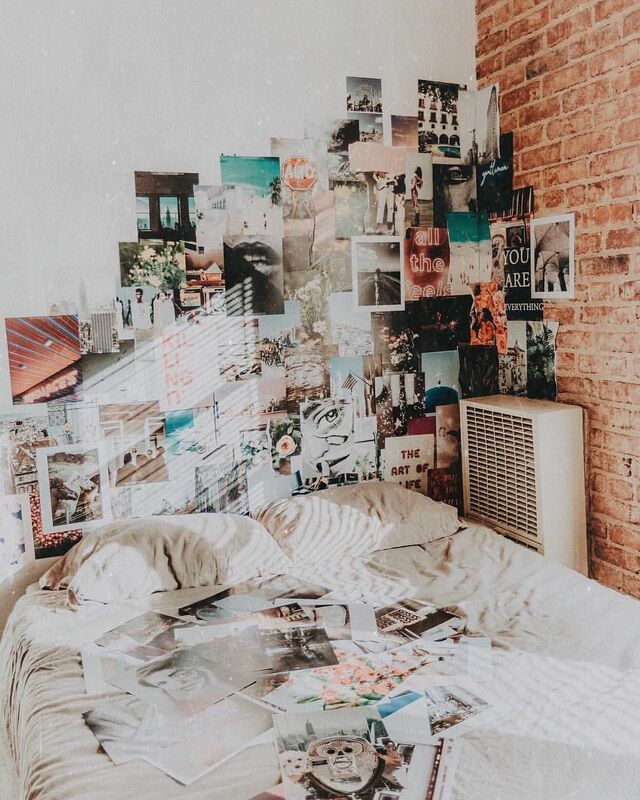 I love that they put a tapestry and string lights behind the bed. 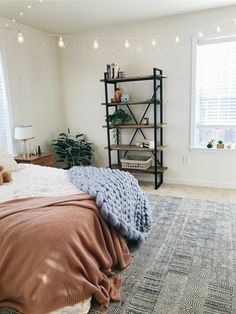 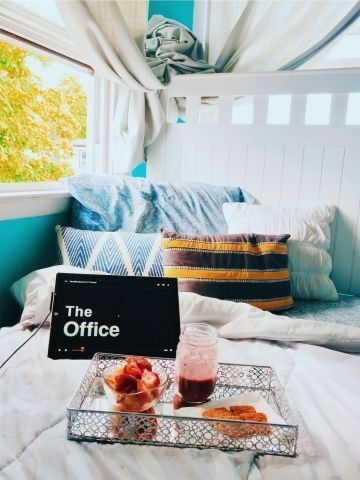 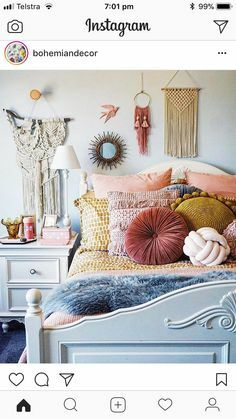 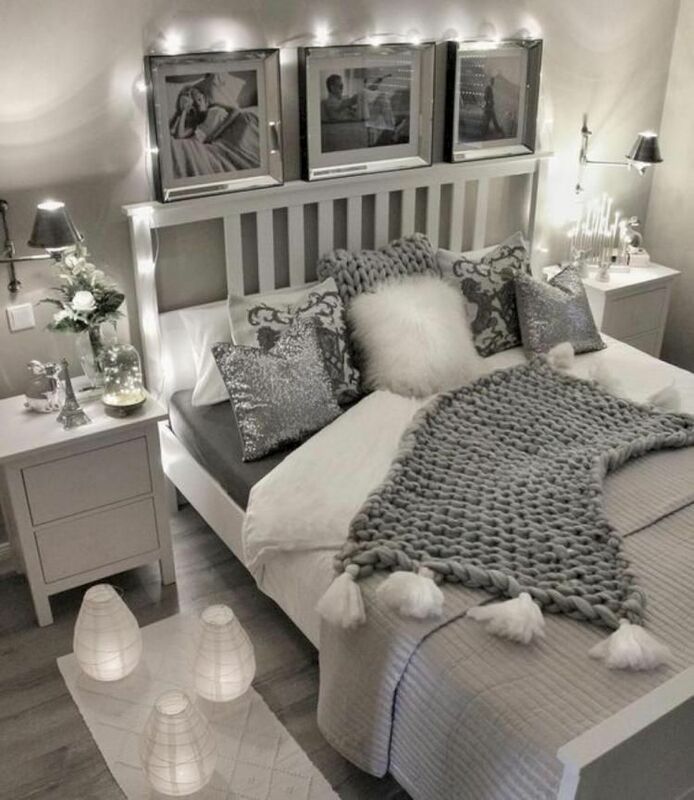 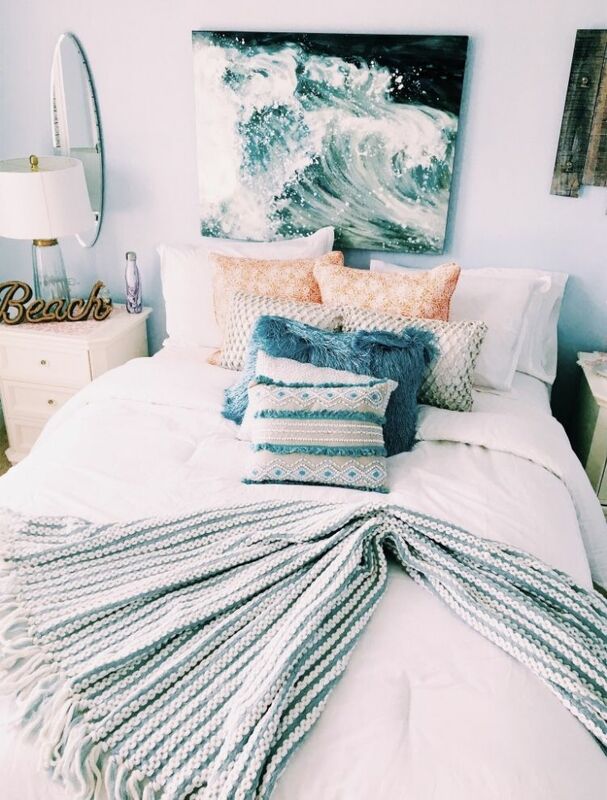 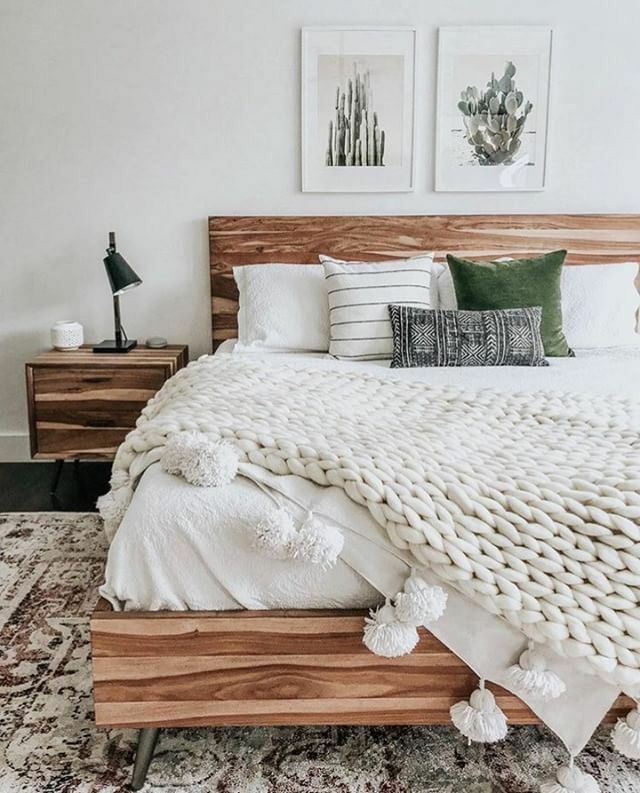 I also love the textures on the bed. 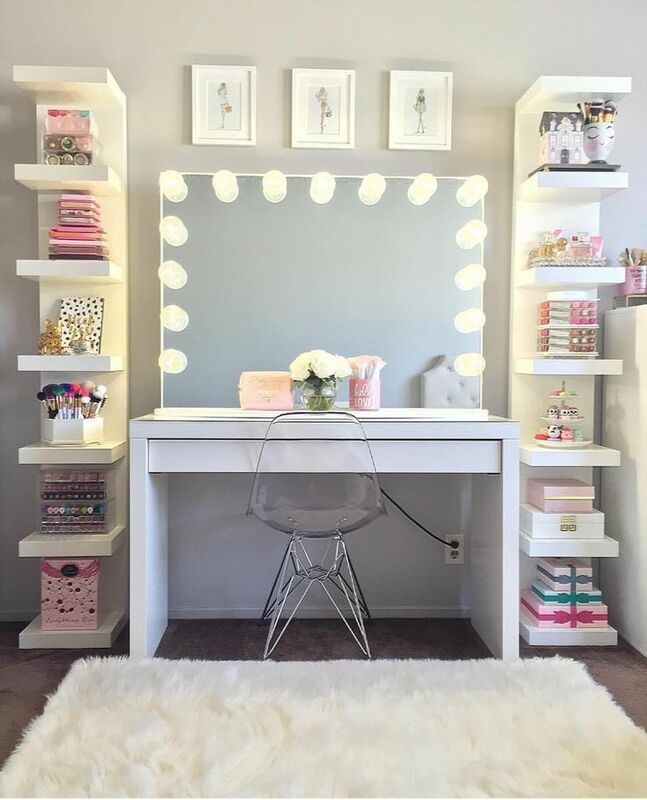 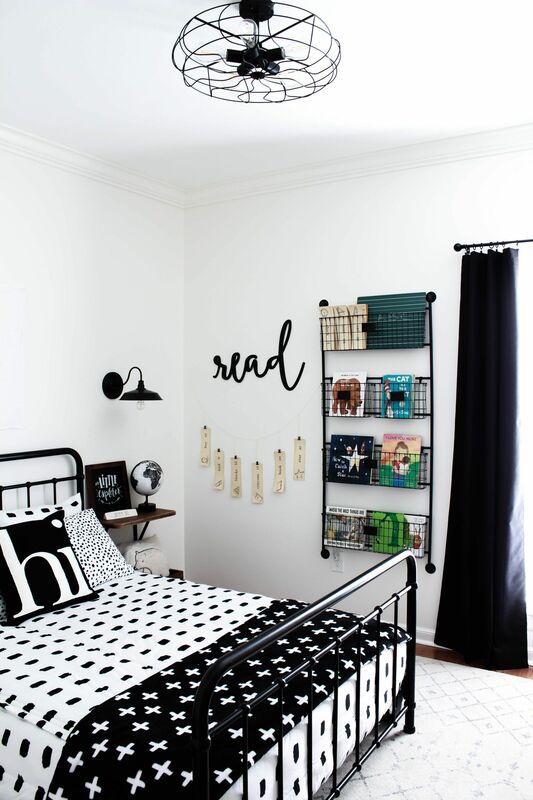 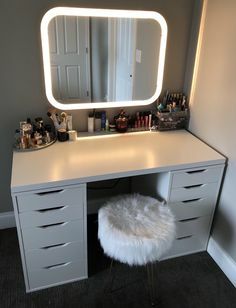 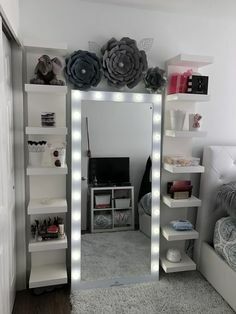 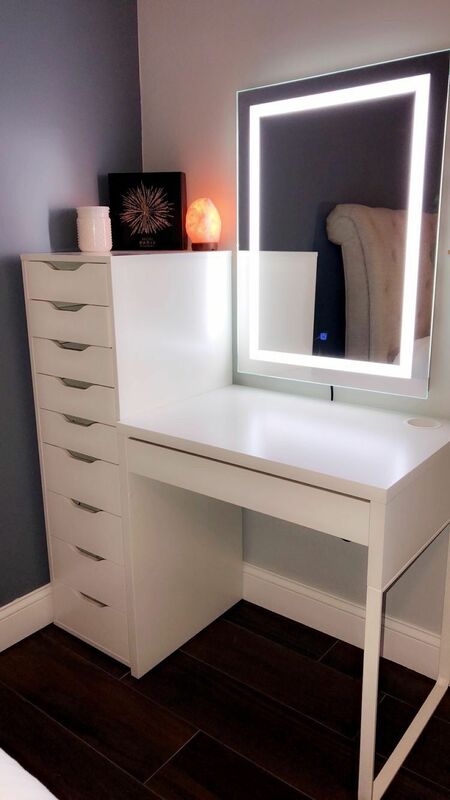 A monochrome boys room makeover with a modern vintage vibe. 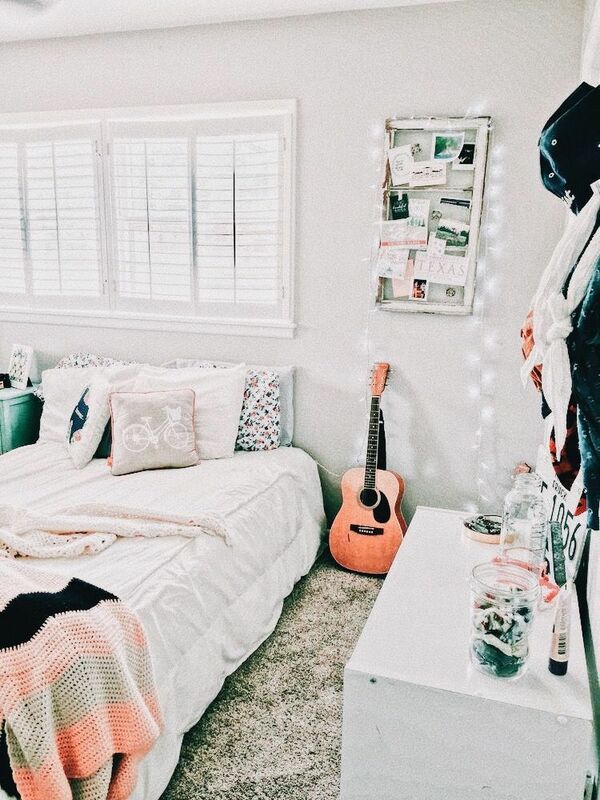 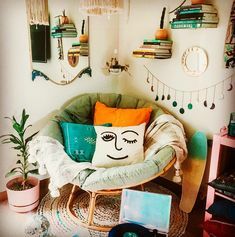 This is such a fun space for a kid and even includes a cozy reading nook. 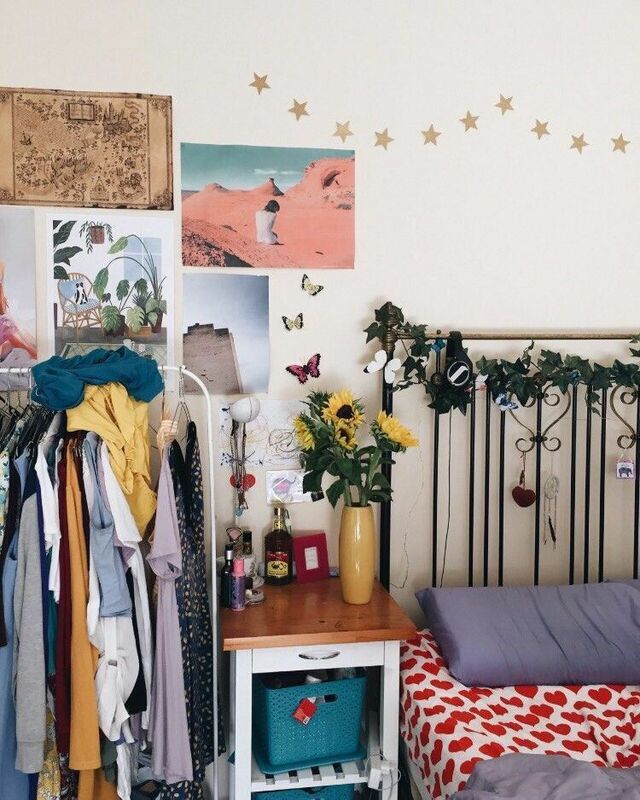 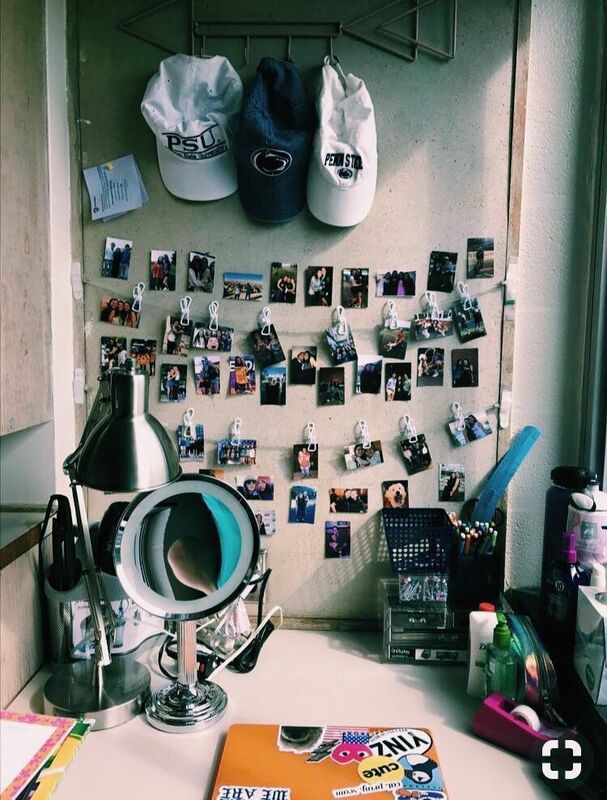 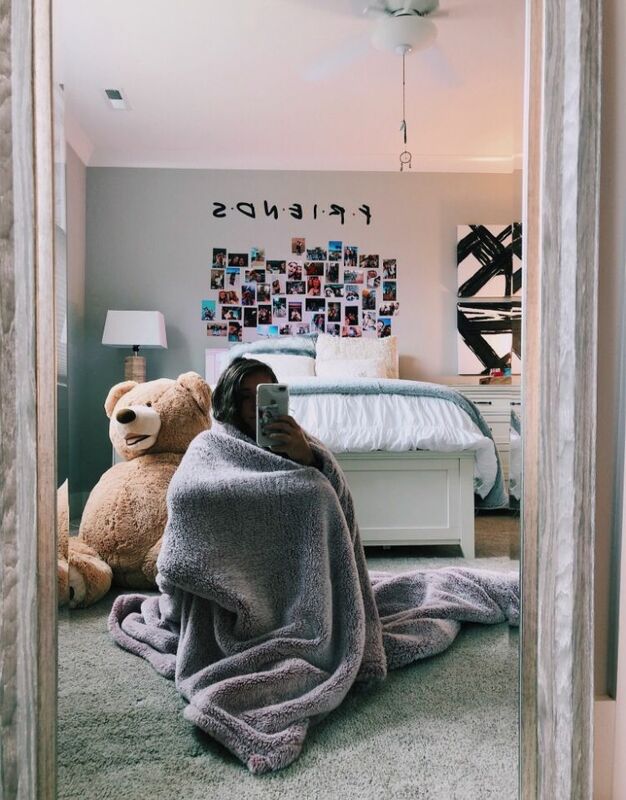 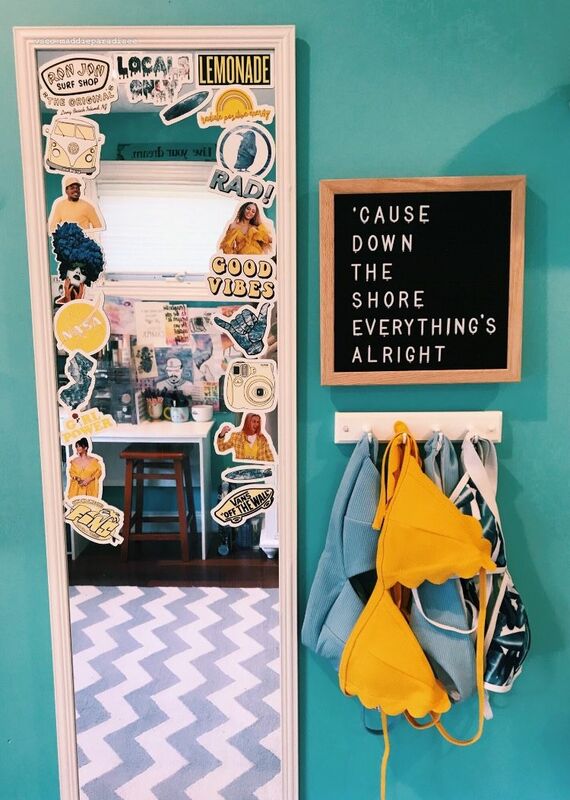 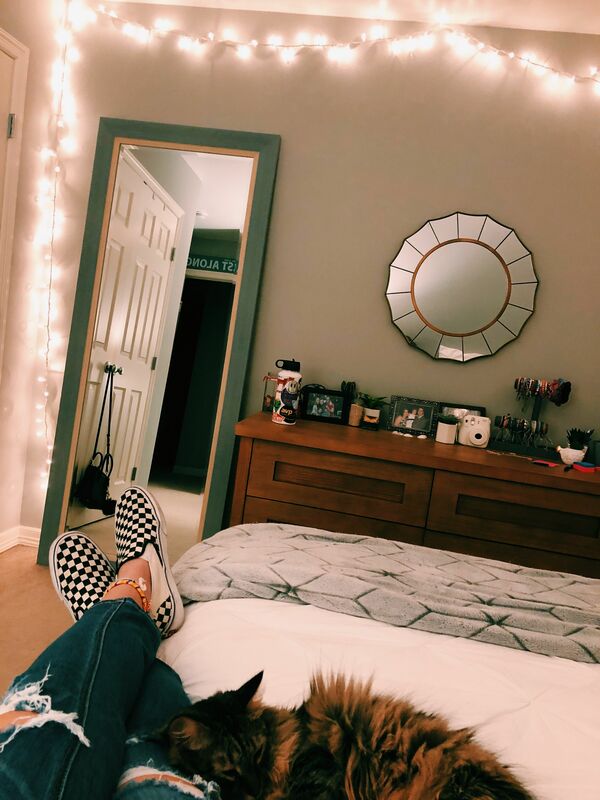 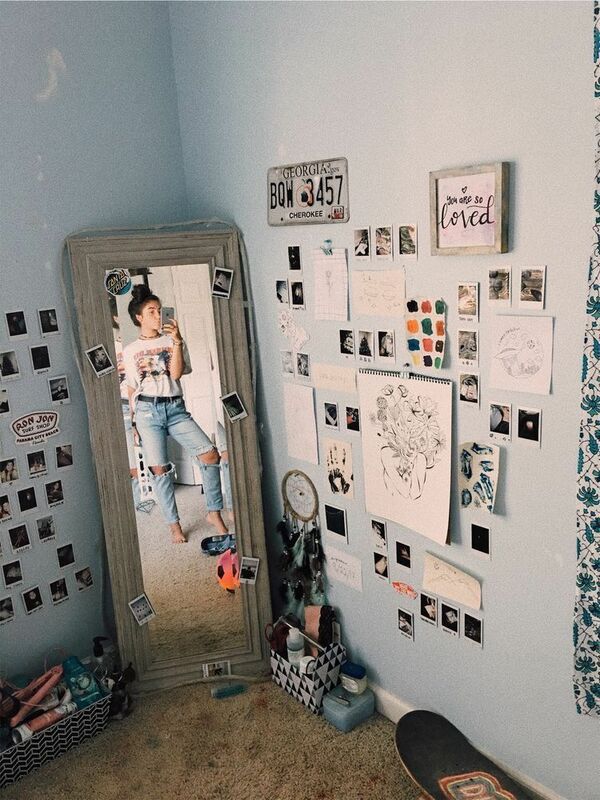 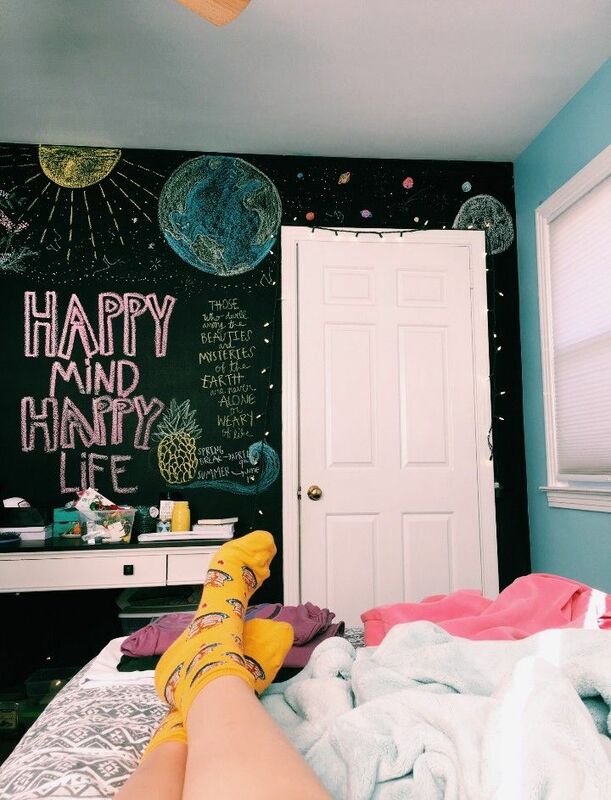 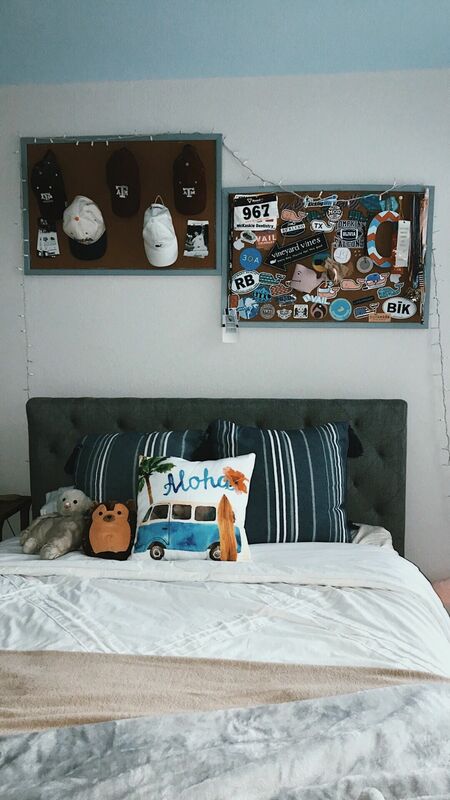 Find this Pin and more on h o m e by Jadaâ˜€ . 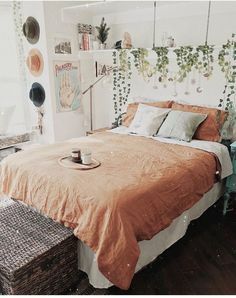 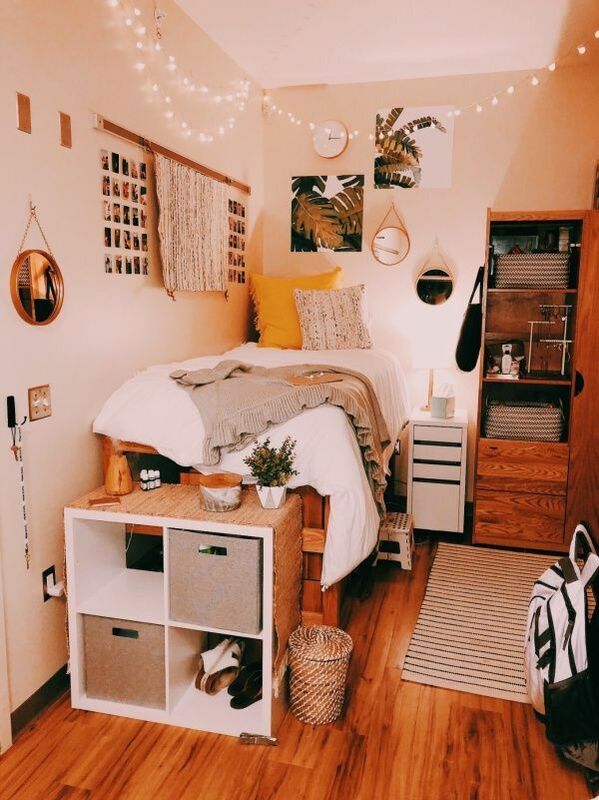 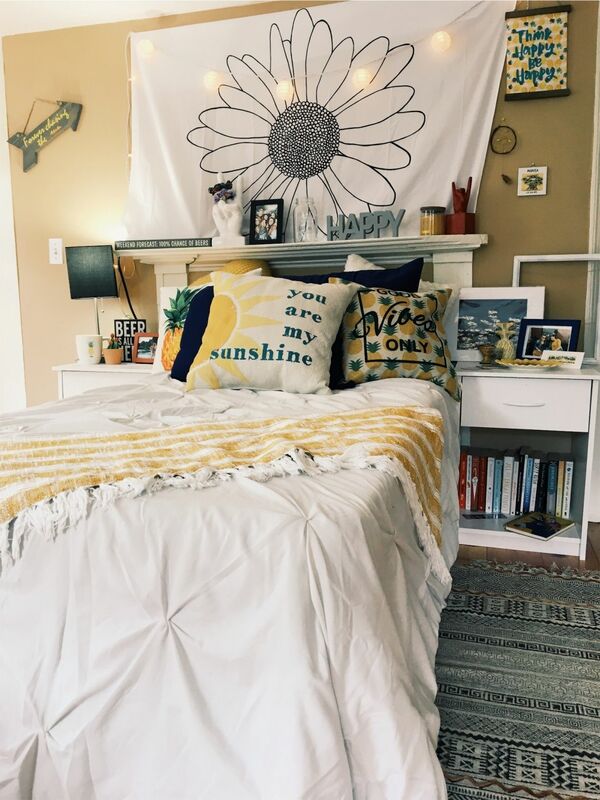 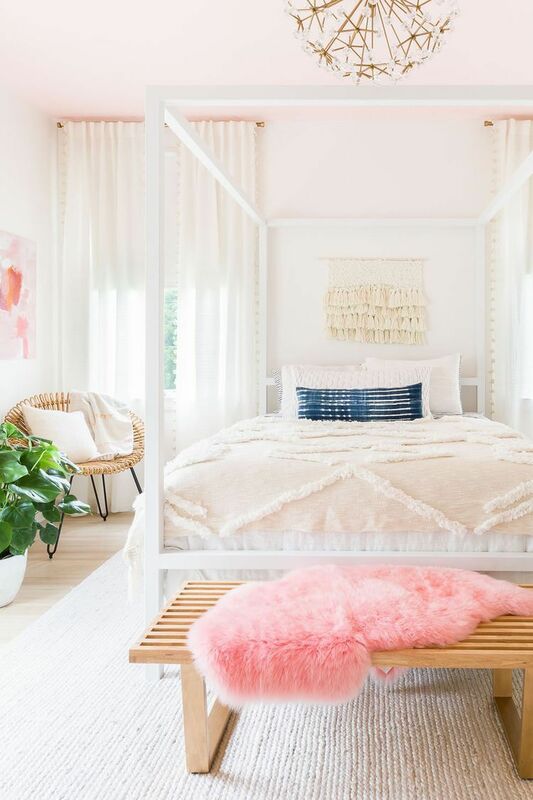 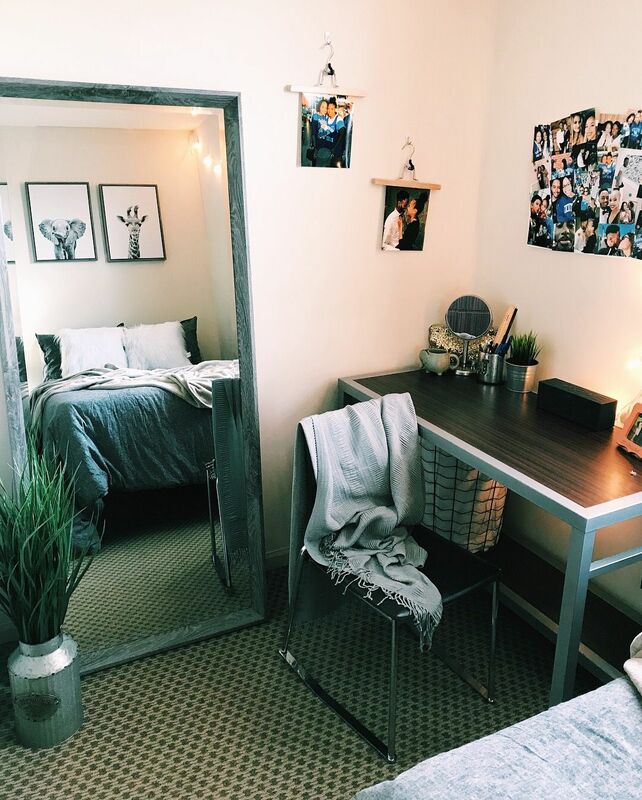 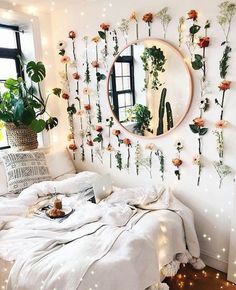 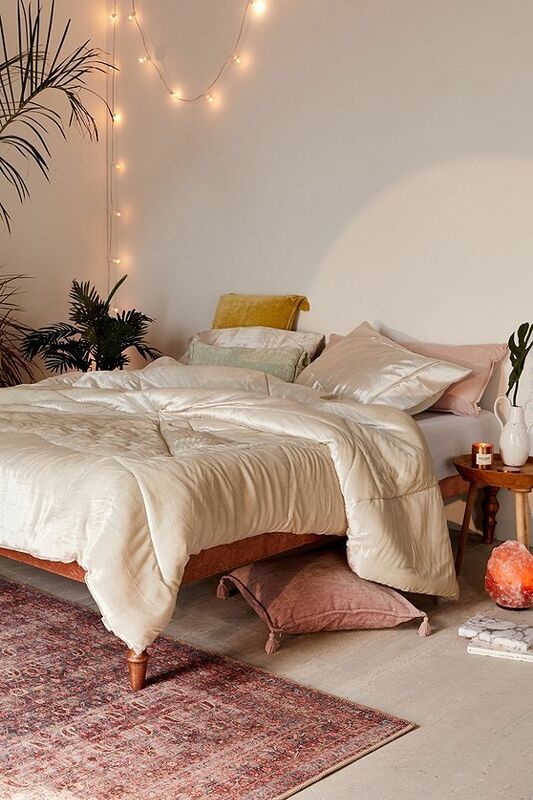 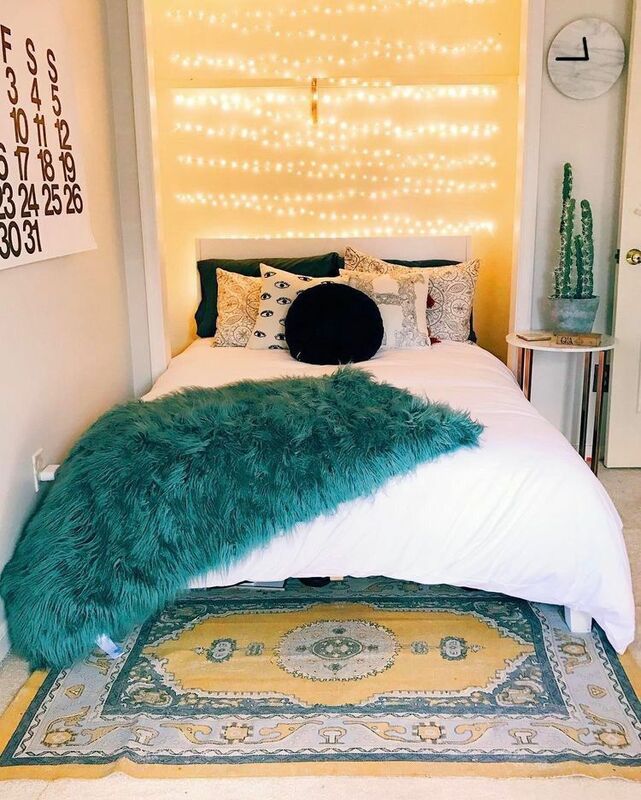 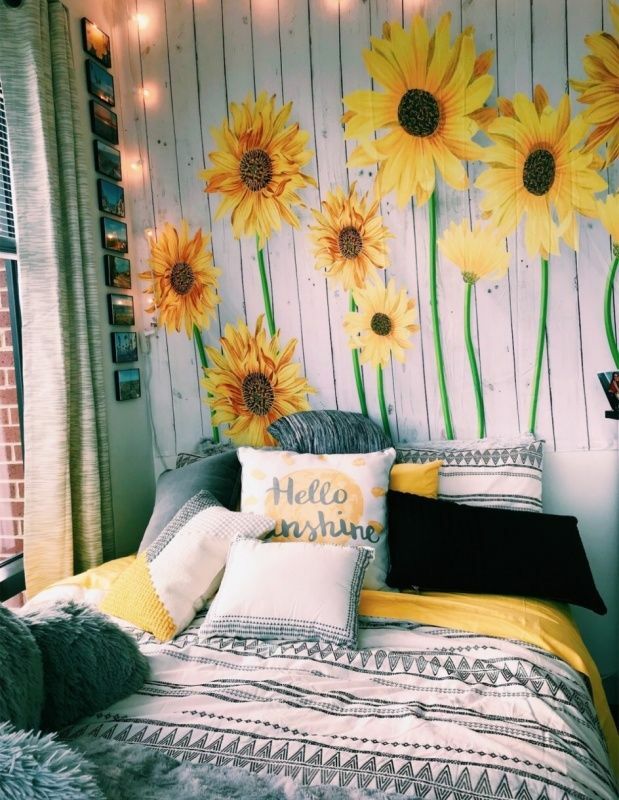 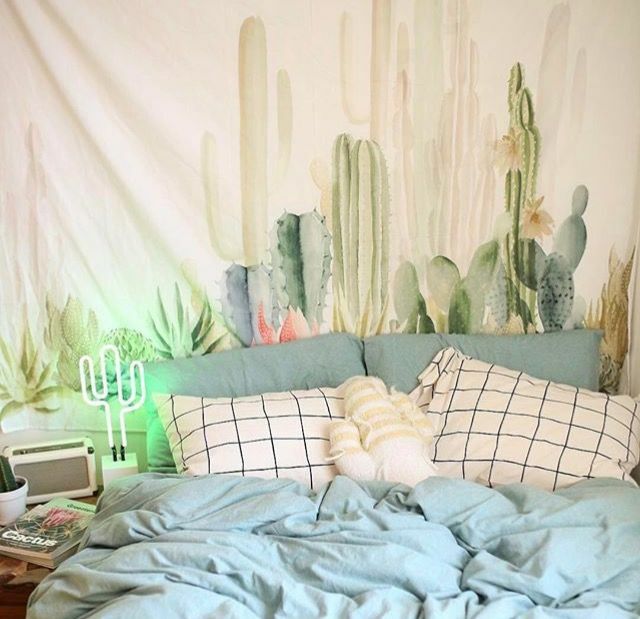 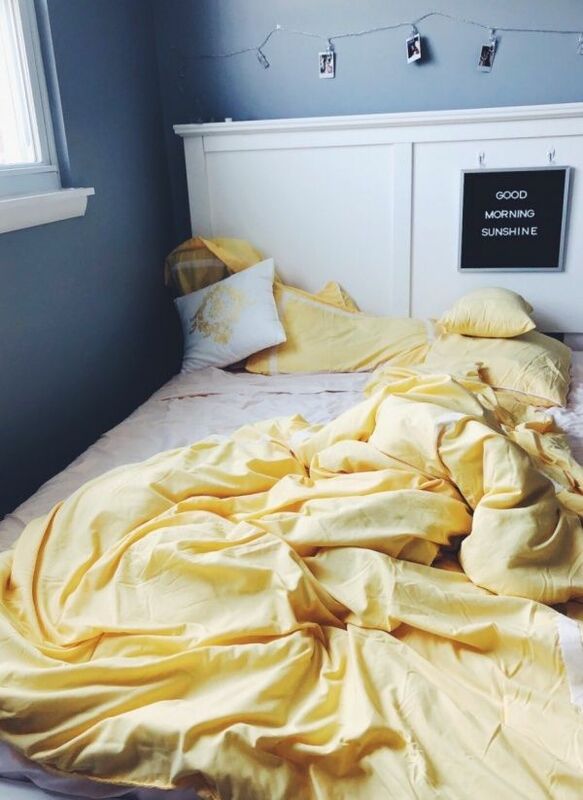 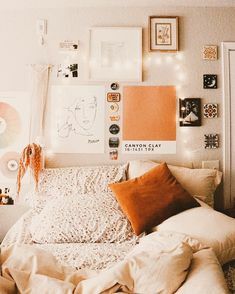 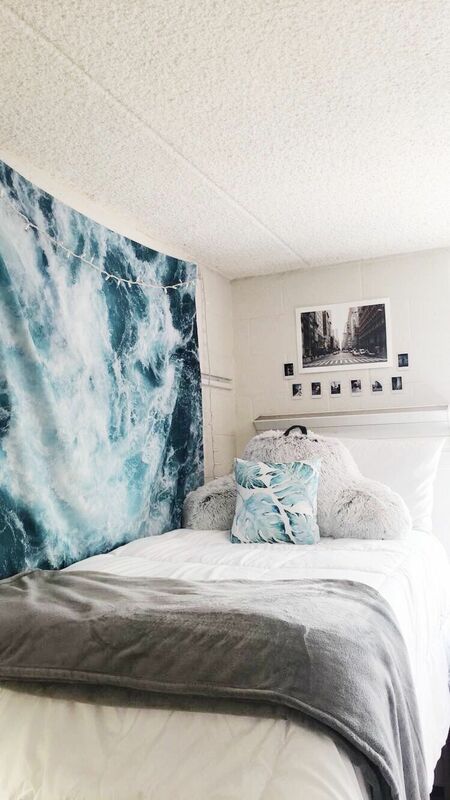 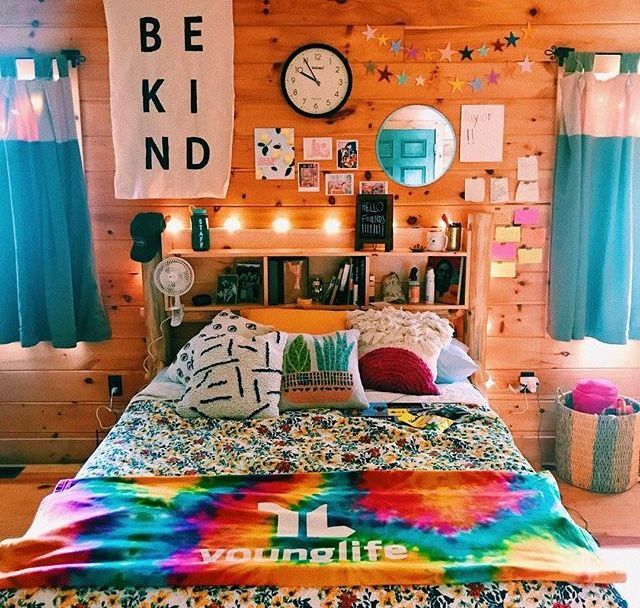 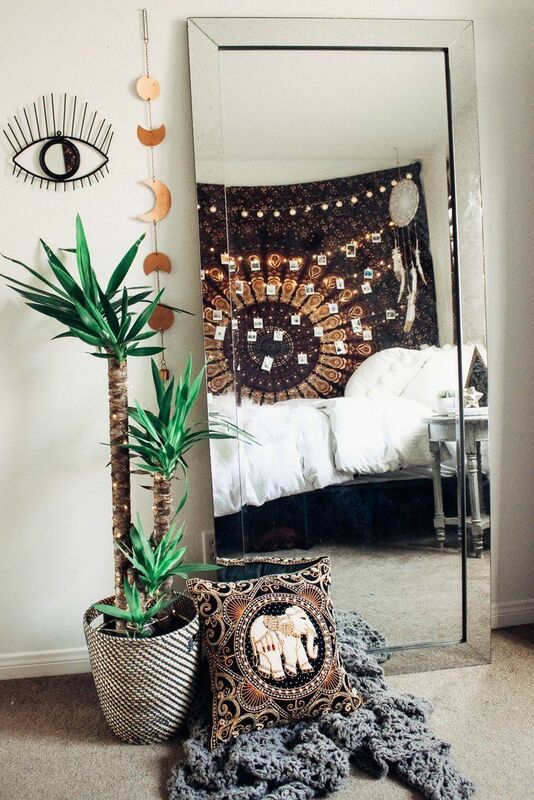 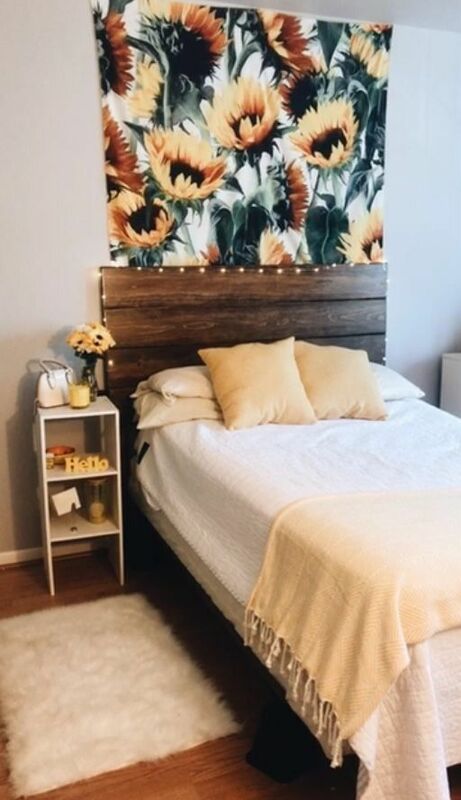 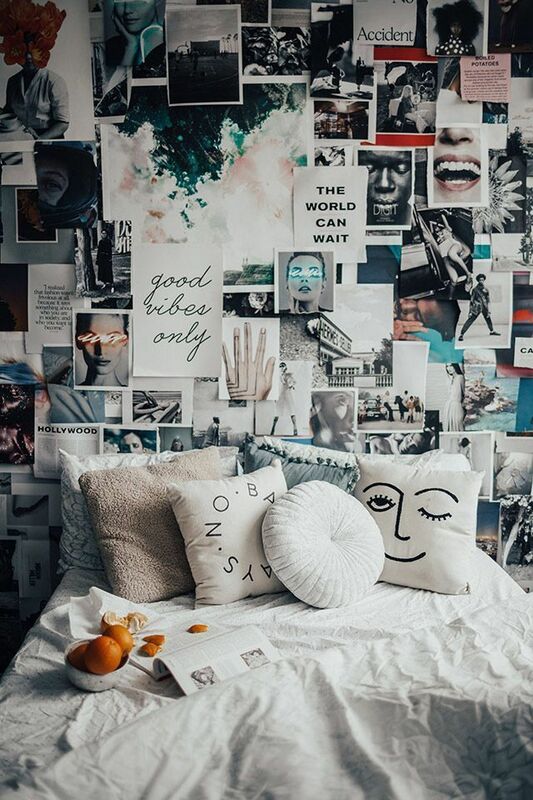 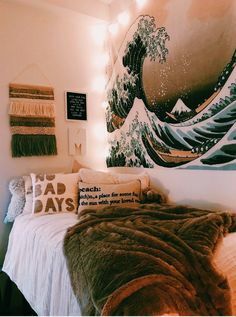 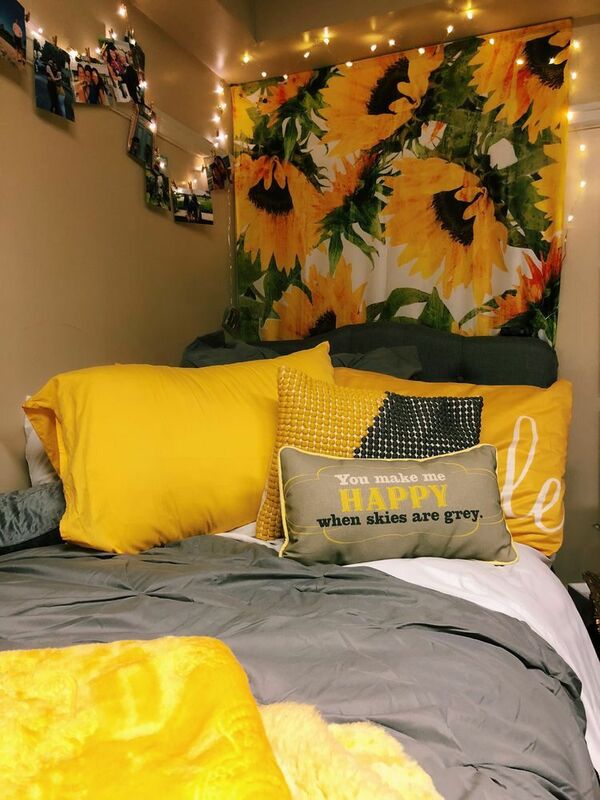 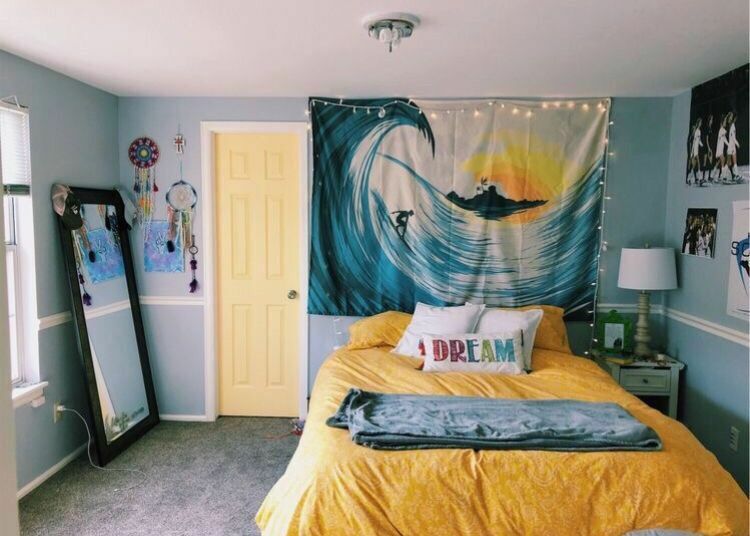 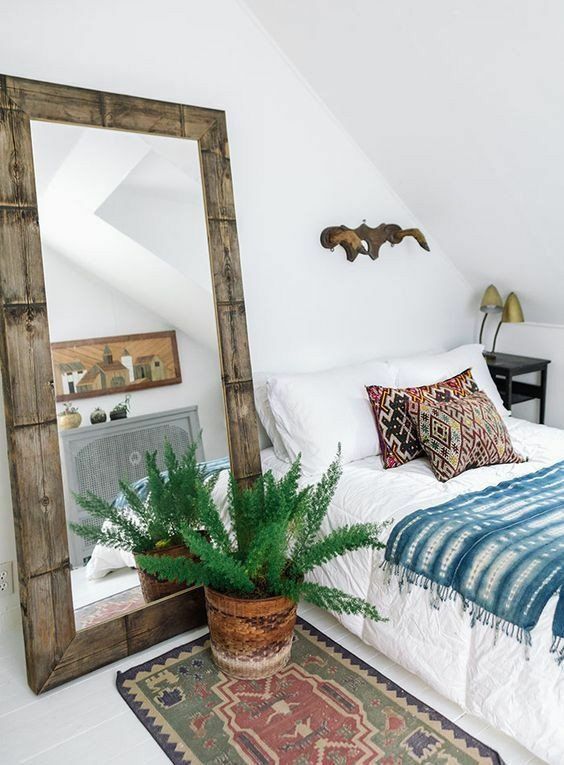 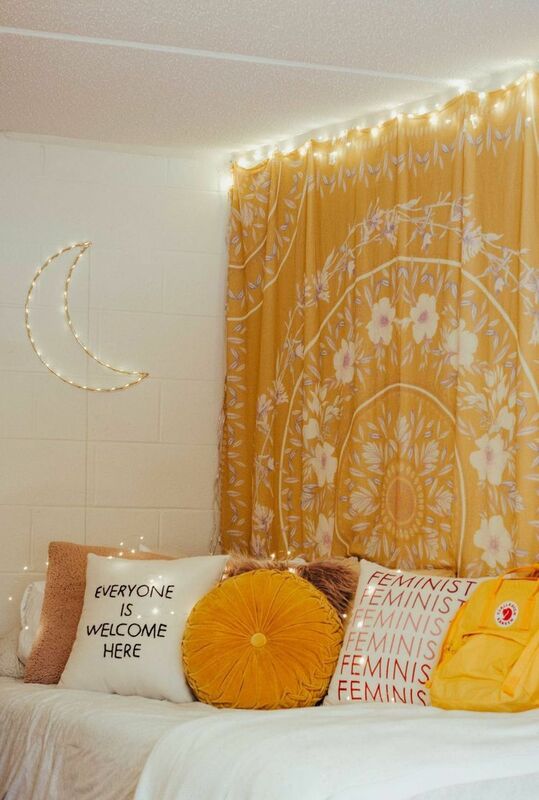 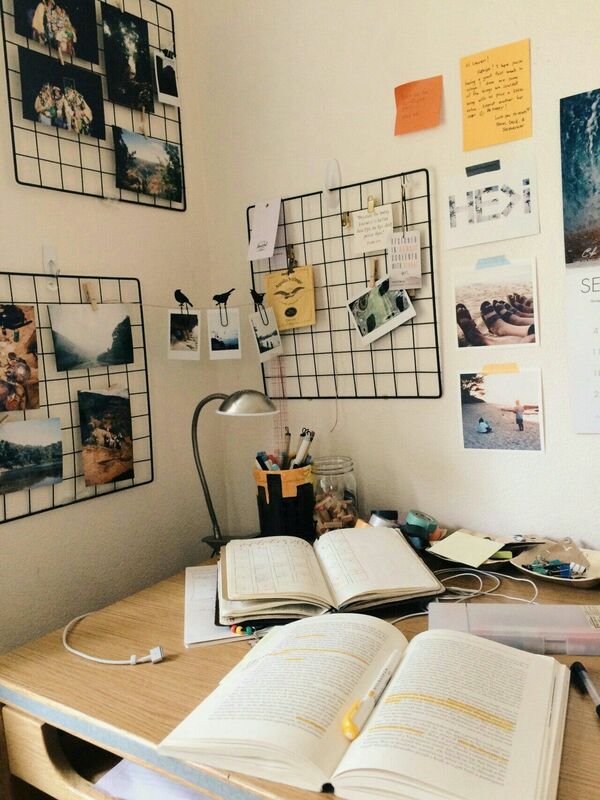 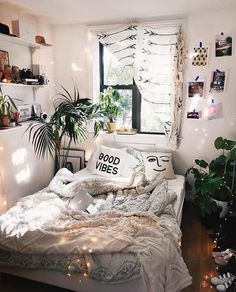 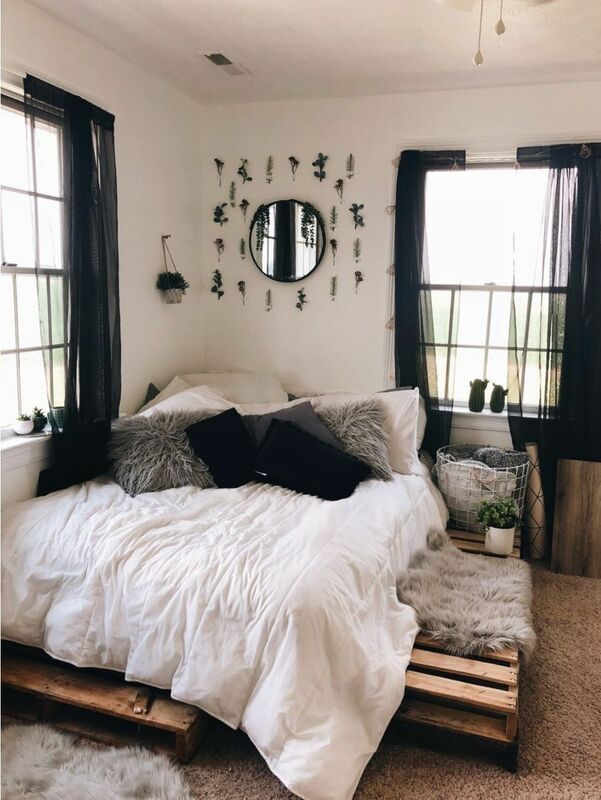 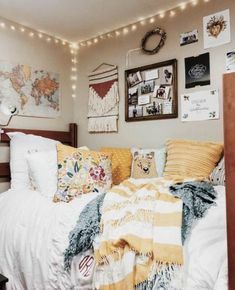 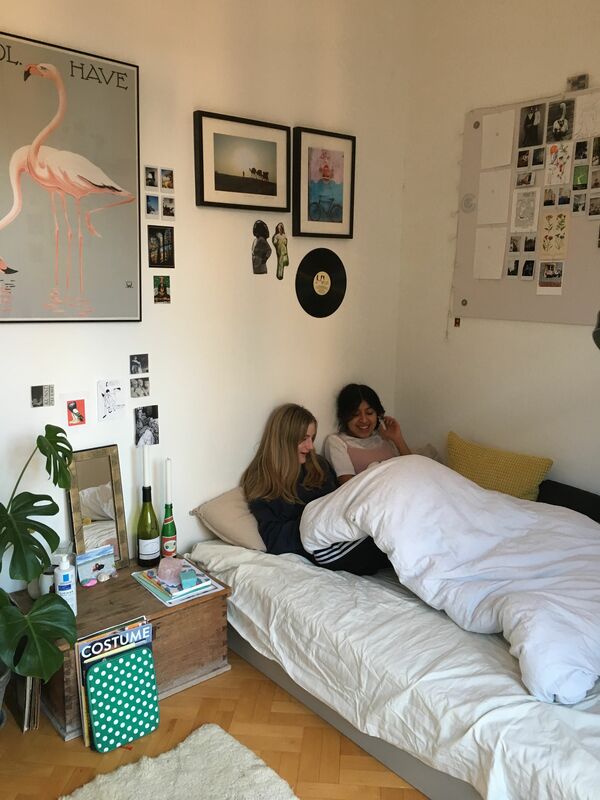 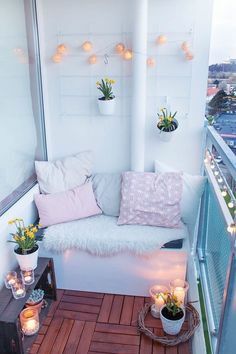 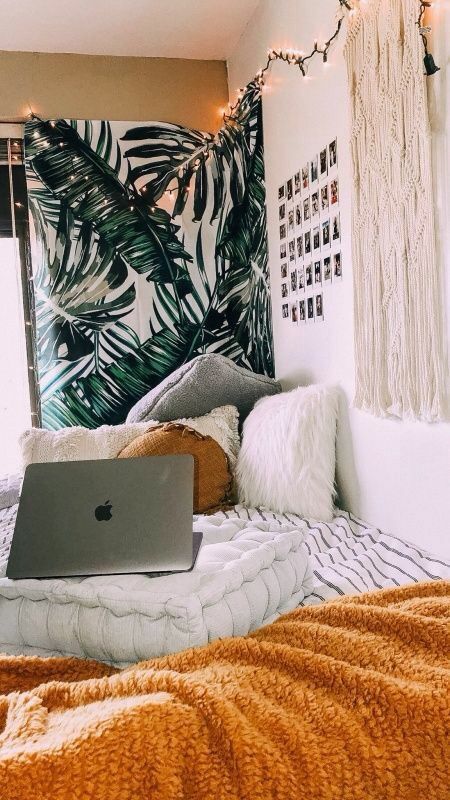 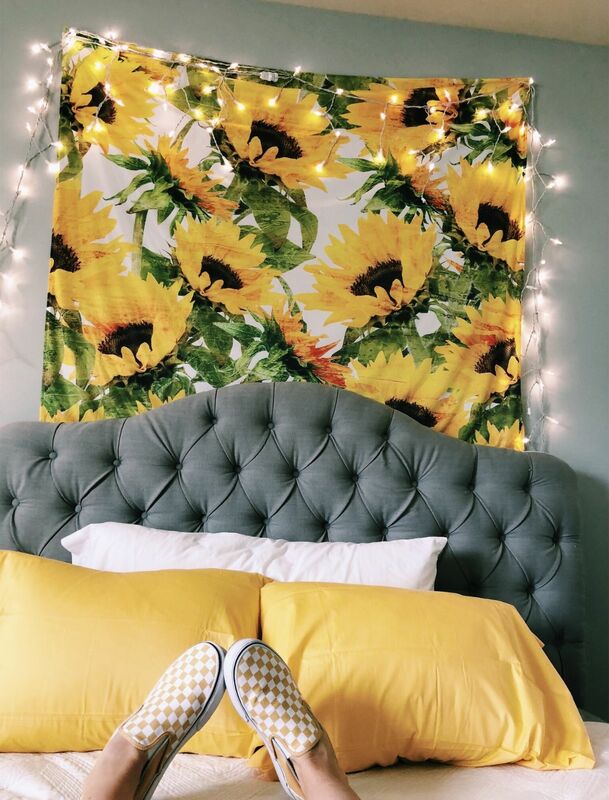 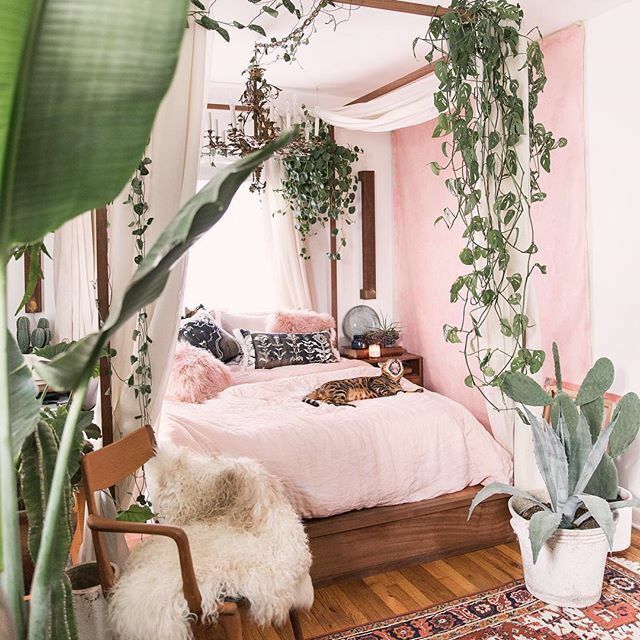 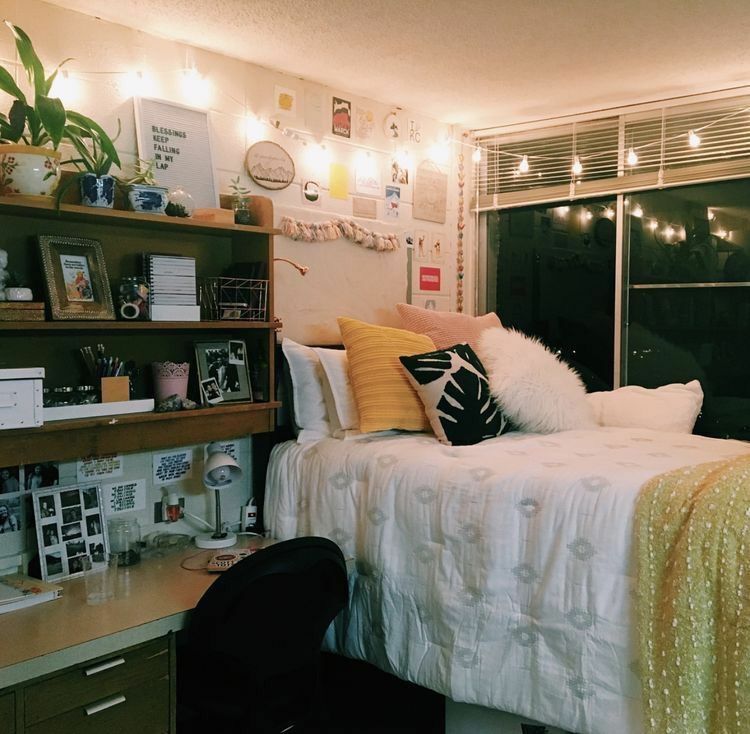 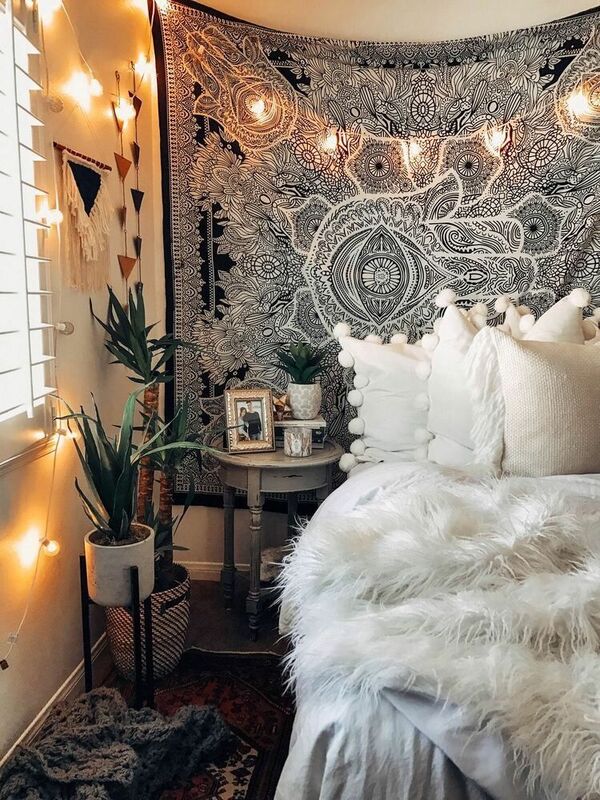 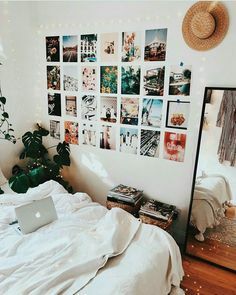 Picture it: a bedroom with a floor bed, white bedding, this tapestry behind it, the yellow pillows, and plants everywhere!